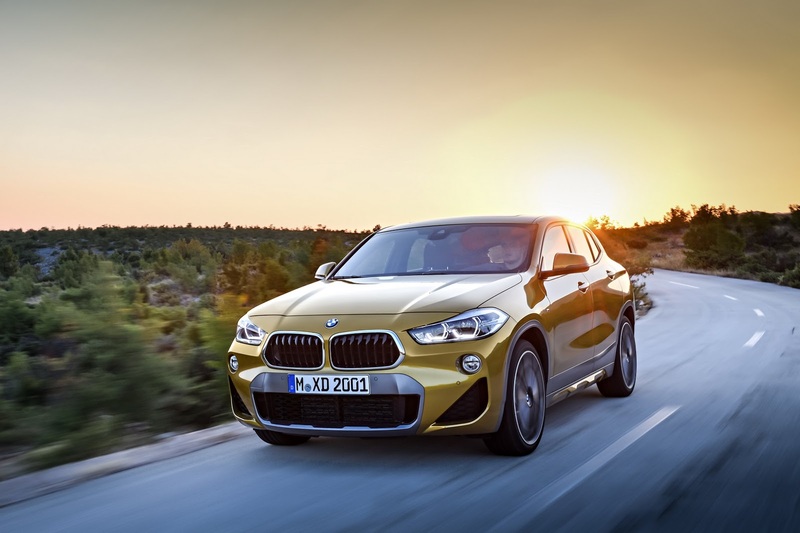 BMW’s ever-growing SUV family welcomed its sixth member at thee end of last year, the X2, which is a sportier take on the X1. 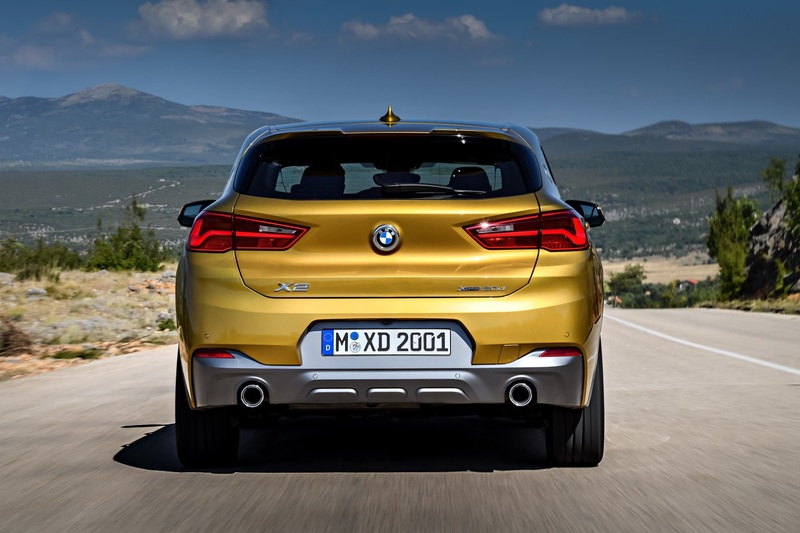 Slotting under the X6 and X4, albeit with a different roofline, it features a funkier than usual design for a BMW, and it can also be had with black plastic cladding on certain models. 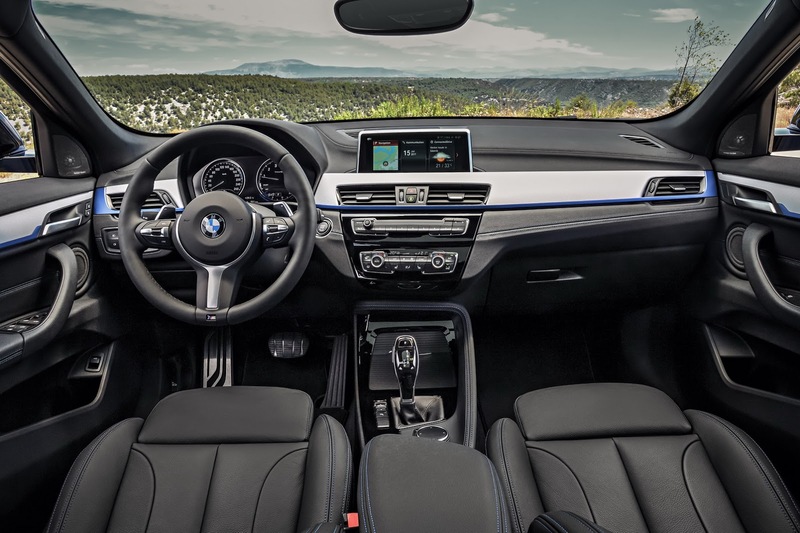 All versions of the car are well equipped, including the entry-level, which gets 18-inch alloy wheels, leatherette seats, climate control, 7-speaker audio, and infotainment system, carrying a starting price of $39,395 with the $995 destination charge. 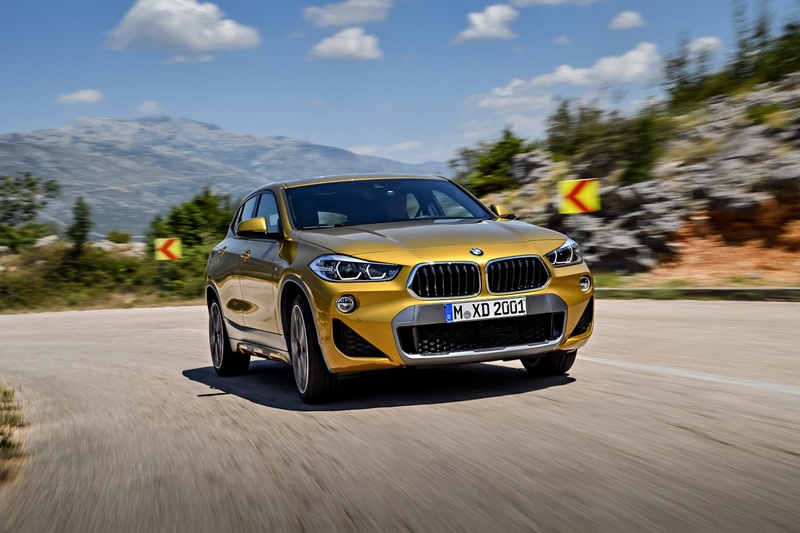 The most affordable BMW X2 is $2,500 pricier than an equivalent X1, and it carries a $3,000 premium over a Mercedes-Benz GLA 250 4Matic. 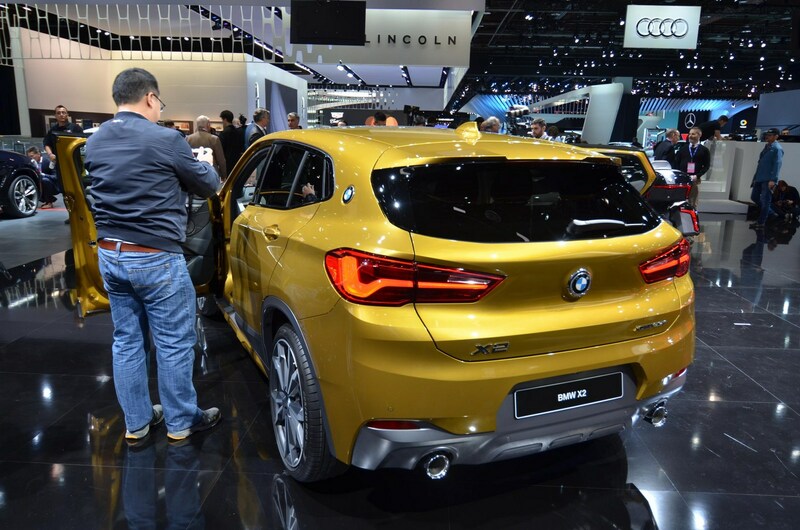 However, compared to the larger X4, it’s $9,200 more affordable. 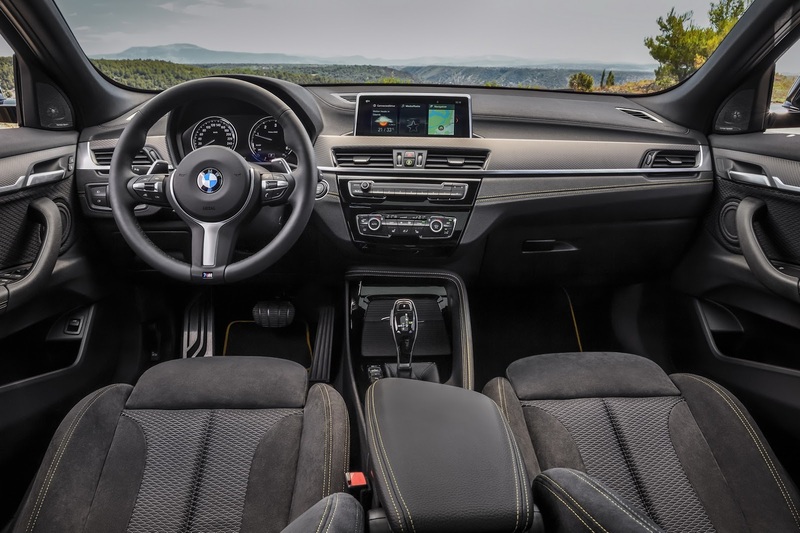 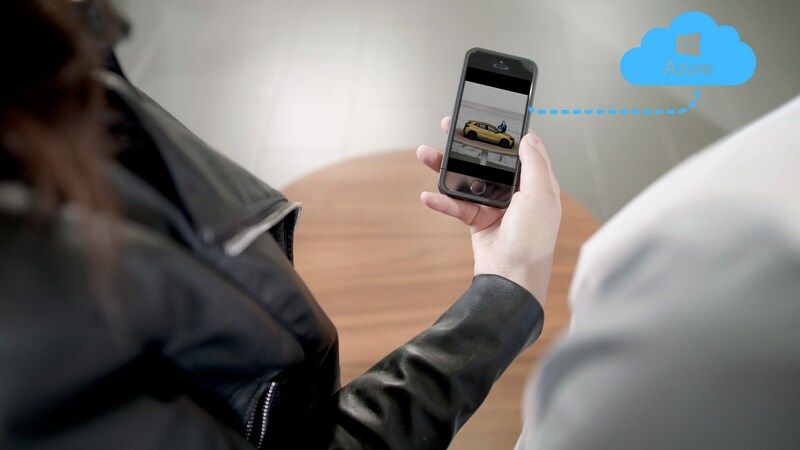 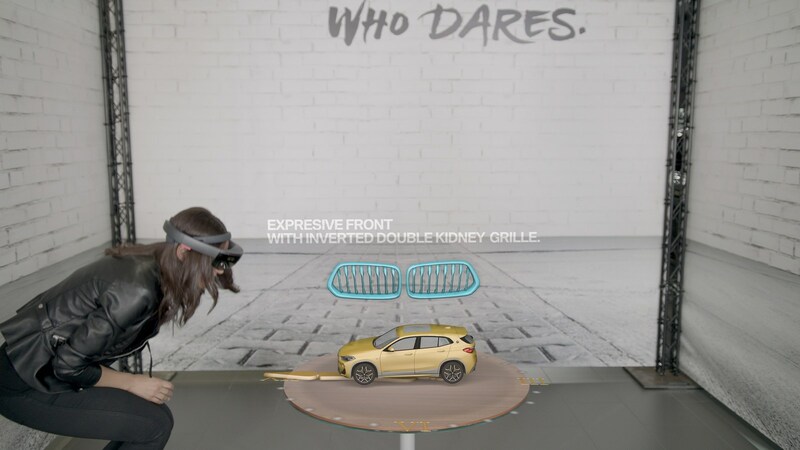 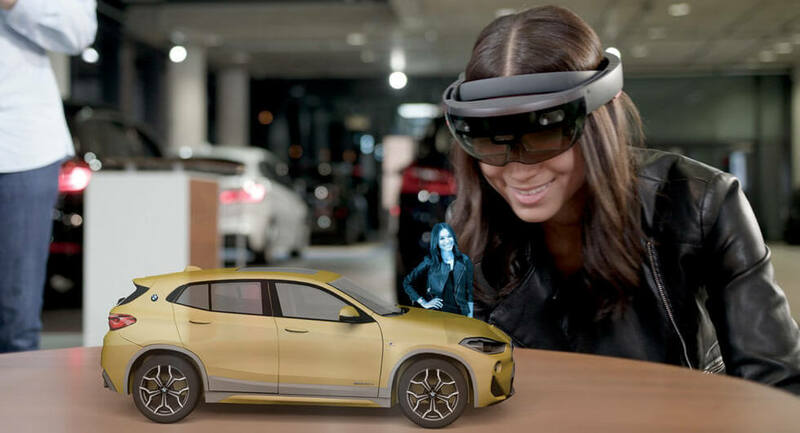 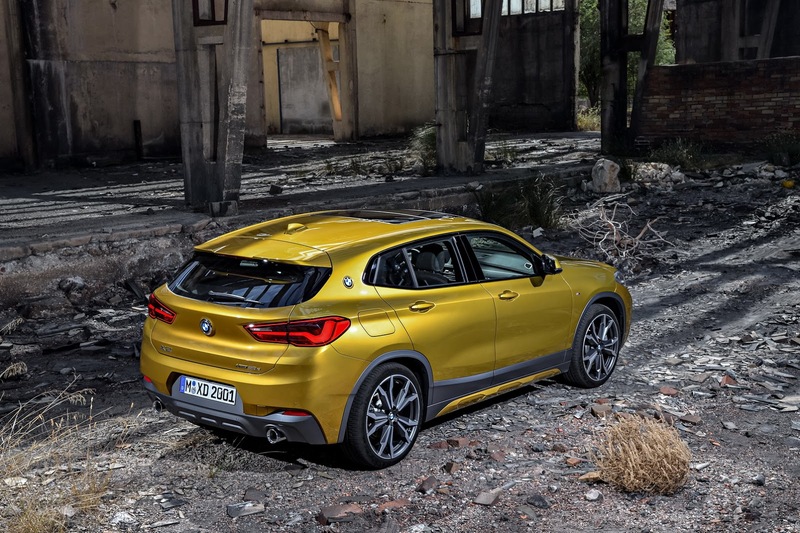 Play with the online configurator, available here, for a few minutes like we did, and you’ll eventually see the MSRP of the BMW X2 reaching over $50,000. 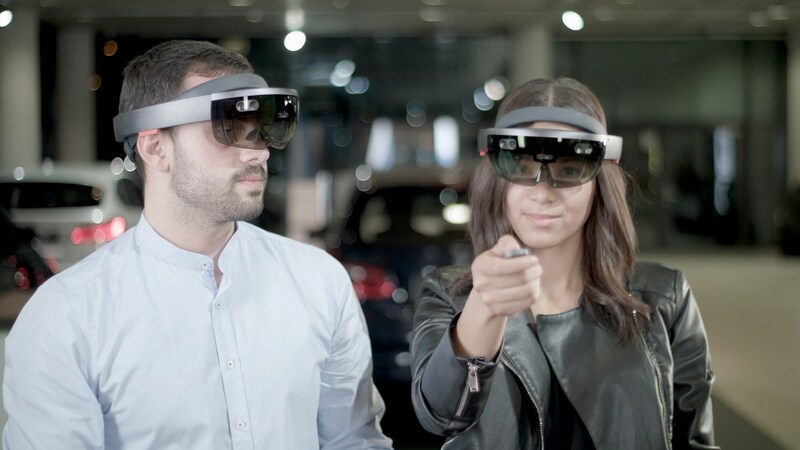 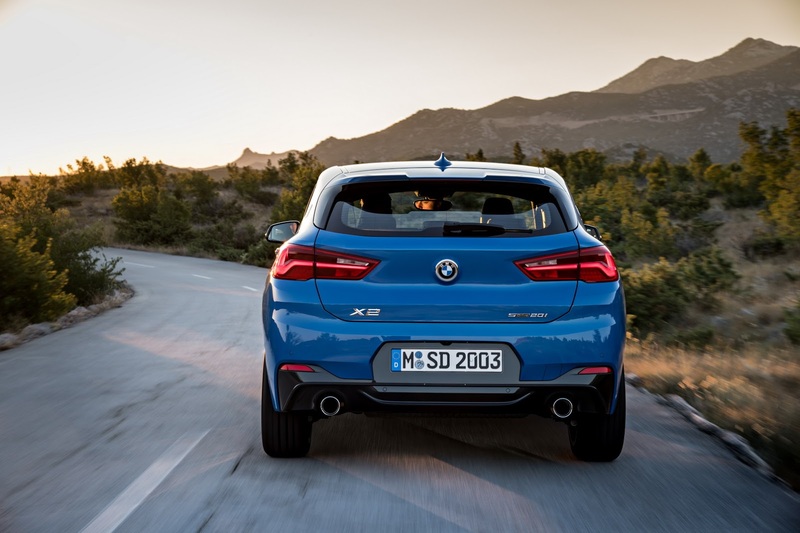 That’s more than the larger X3 and X4, and it approaches the price of the new X5, which starts from $56,600 in the States. 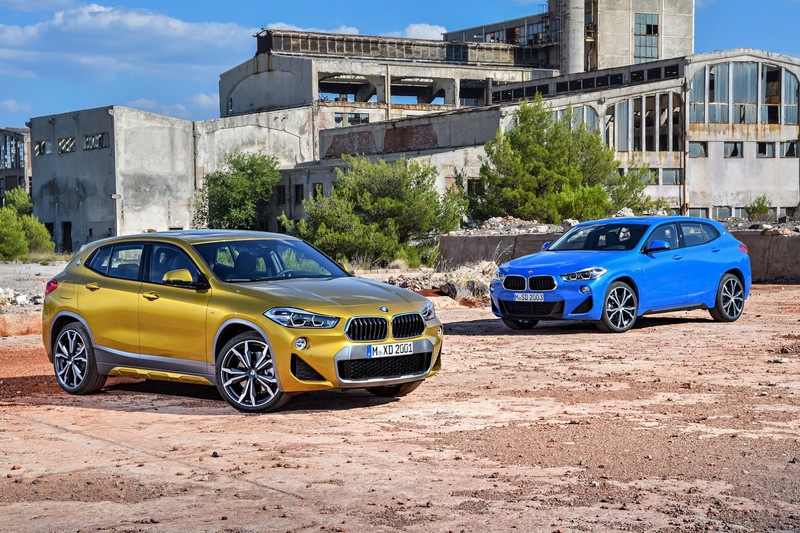 Two BMW models will celebrate their world premiere at the 2018 Detroit Auto Show between January 14-28, the updated i8 Coupe and the new X2 small crossover. 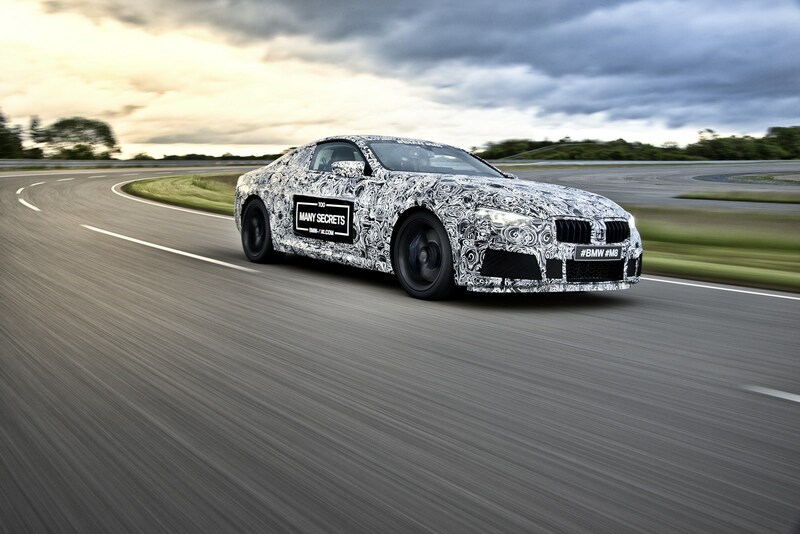 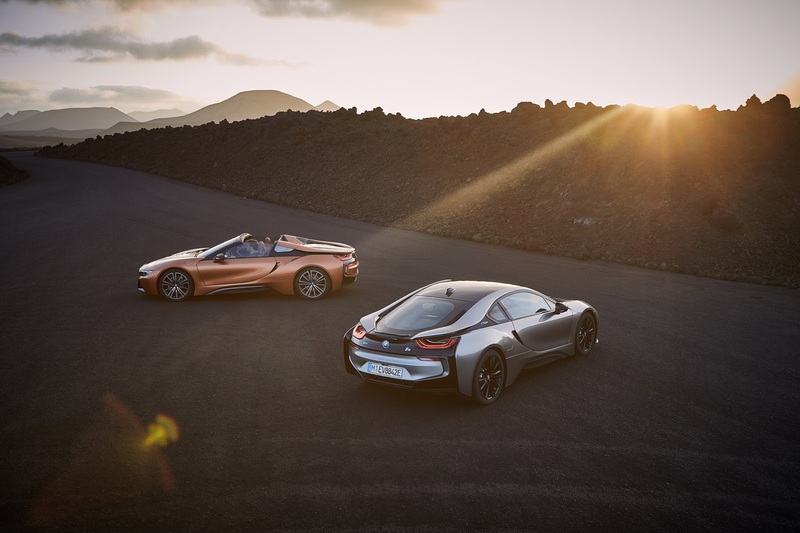 Aside from the two novelty acts, the Bavarian automaker will also show off their i8 Roadster First Edition, together with the BMW Concept X7 iPerformance. 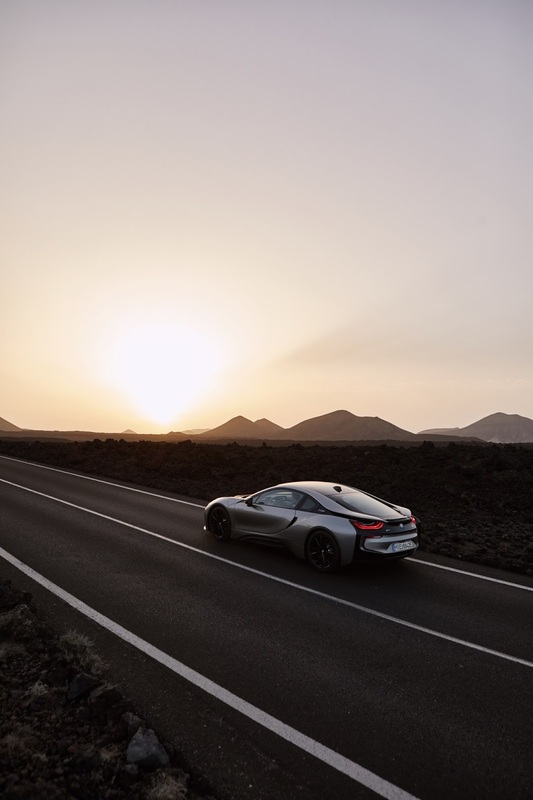 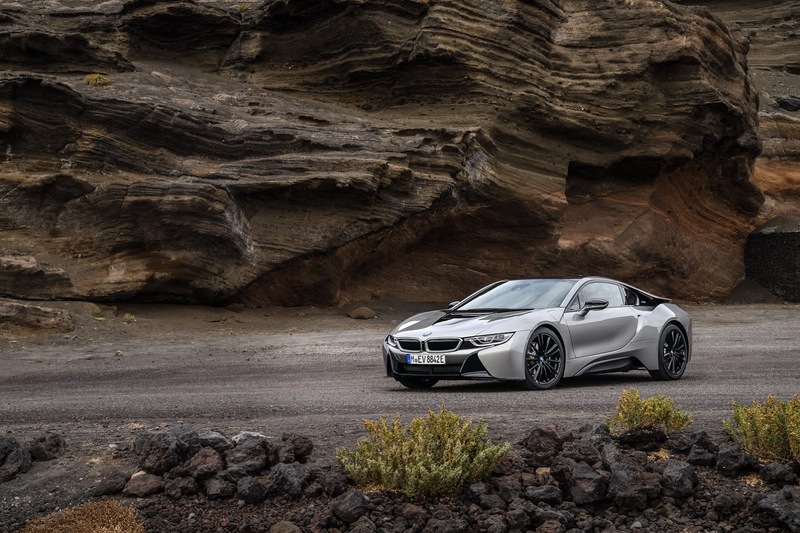 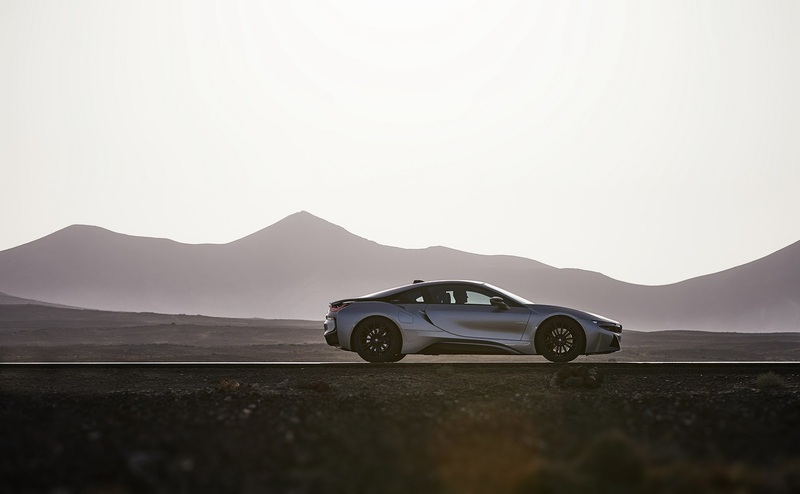 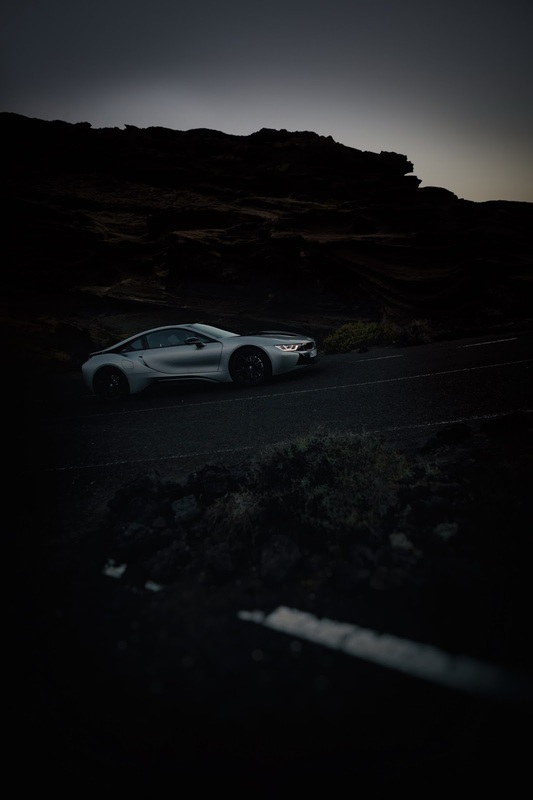 The updated i8 Coupe brings with it a hybrid powertrain generating a total system output of 374 PS (368 HP), with the electric motor alone being good for 143 PS (140 HP), while also powering the vehicle all the way to 65 mph (105 km/h). 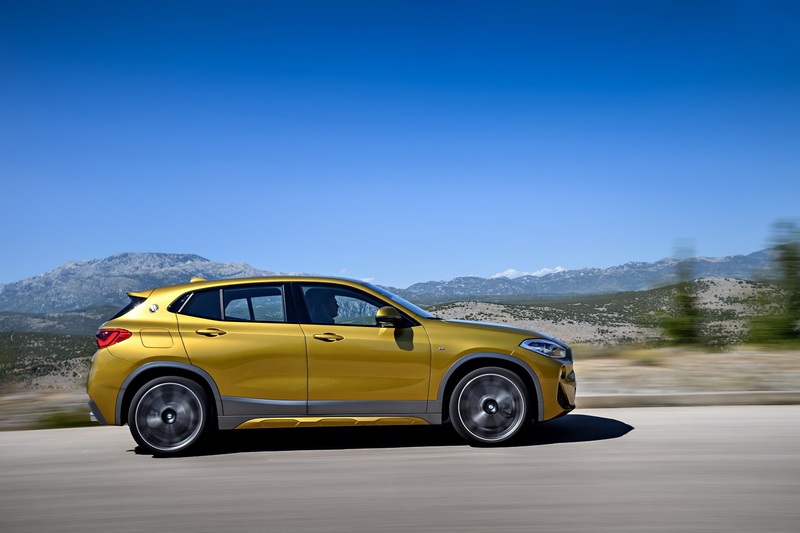 Customers can then push the eDrive button, which raises the all-electric top speed to 75 mph (120 km/h). 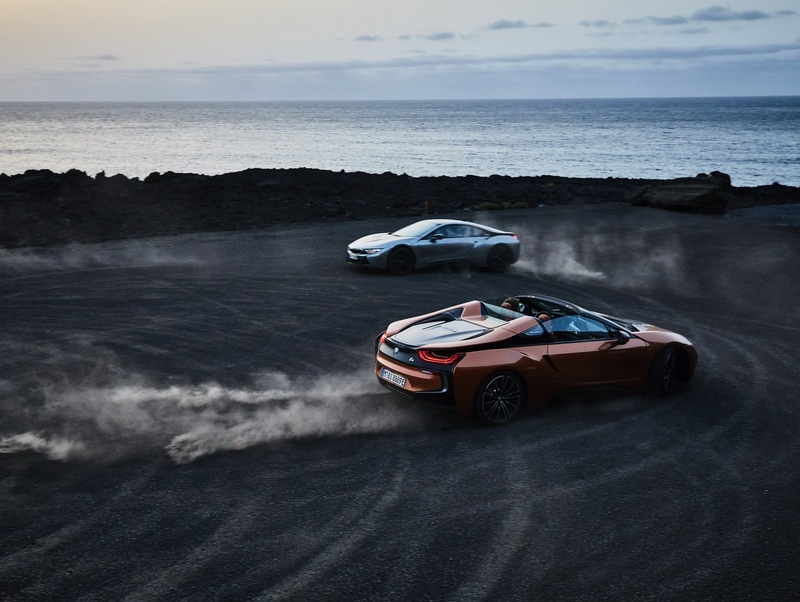 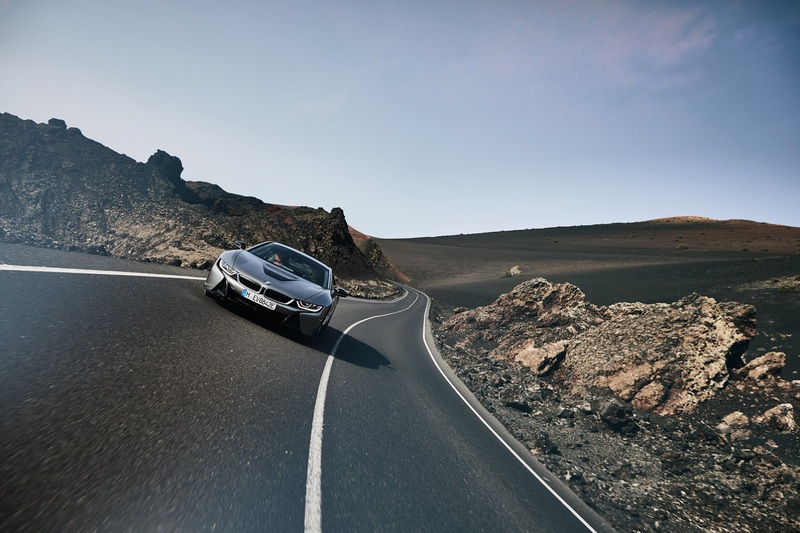 In a straight line, the new i8 Coupe can get from 0 to 100 km/h (62 mph) in 4.4 seconds, while the i8 Roadster completes the sprint in 4.6 seconds. 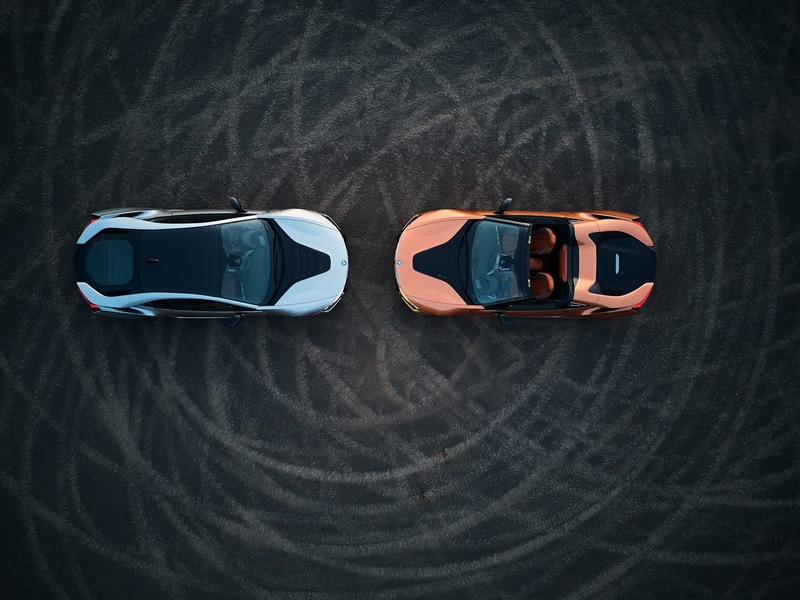 Speaking of the Roadster, the First Edition version coming to Detroit is limited to a production run of just 200 units. 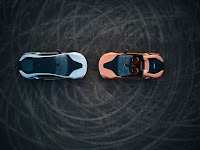 These cars will also be available with all the body paint finishes and interior designs offered on the regular i8 Coupe and Roadster – including the newly introduced E-Copper metallic and Donington Grey Metallic. 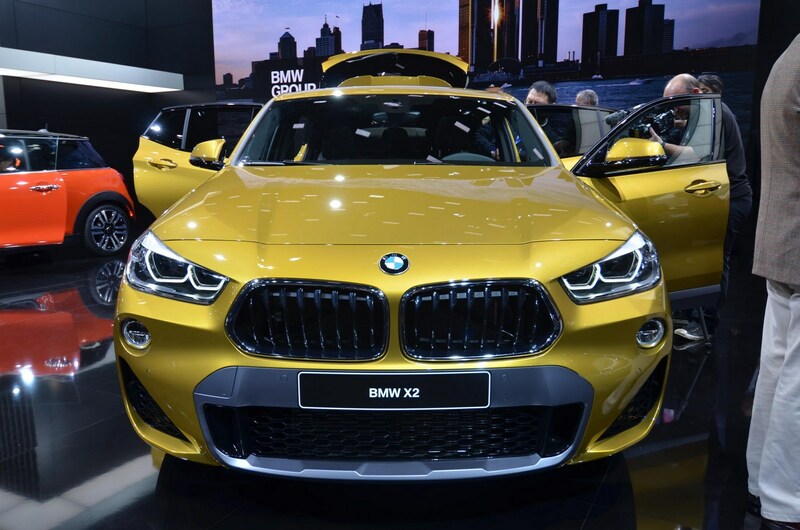 As for the X2 crossover, it will bring its distinctive character to Detroit, showing off styling elements such as its BMW roundel on the C-pillars and its innovative take on the classic kidney grille, which has a wider outline at its base than at the top. 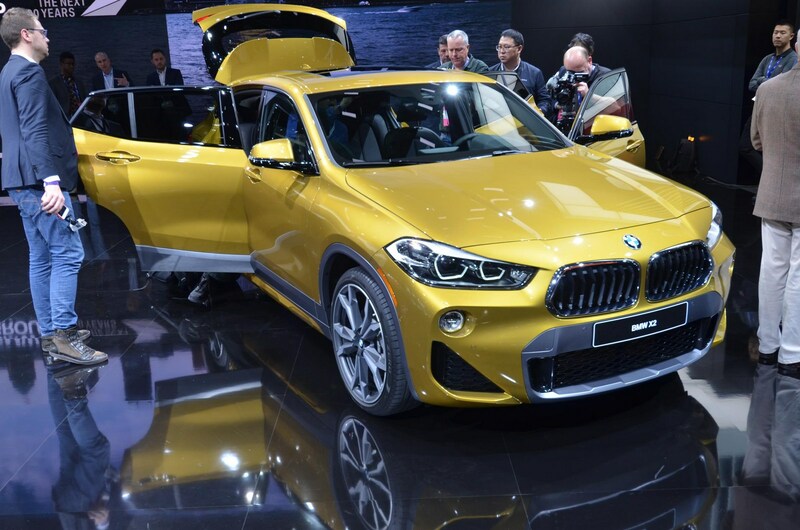 The first X2 version to hit the U.S. market will be the 228 HP (231 PS) xDrive28i, set to arrive in showrooms on March 3rd, 2018. 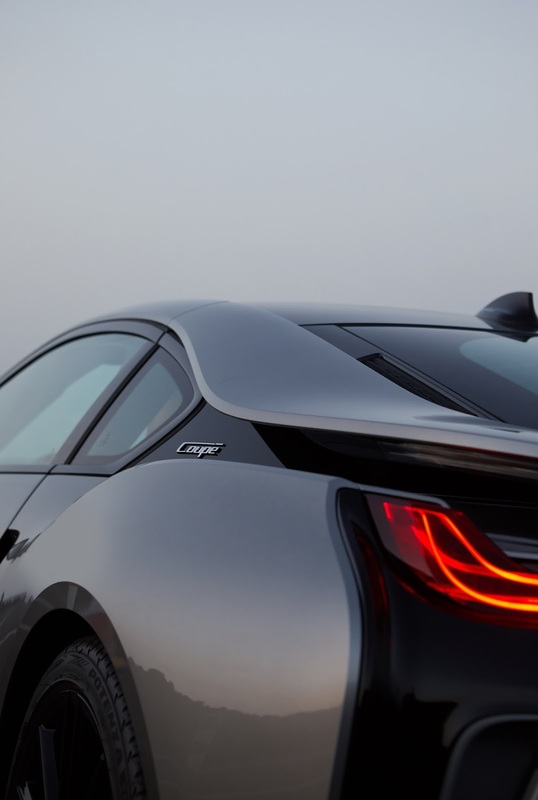 The RWD-only sDrive28i model will join it a few months later. 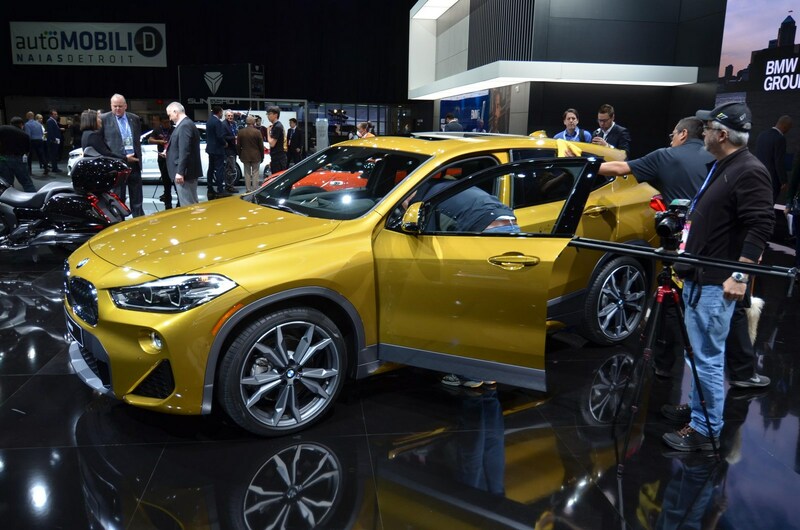 The North American International Auto Show is less than a month away and BMW has announced plans to stage the world debuts of the X2 and i8 Coupe in the Motor City. 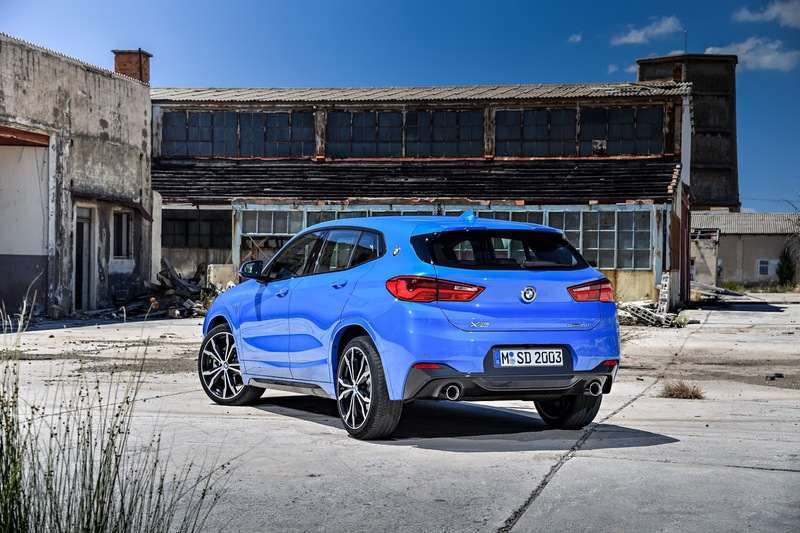 Starting with the X2, the model is based on the X1 but it eschews crossover-inspired styling for a funkier design that resembles a high-riding hatchback. 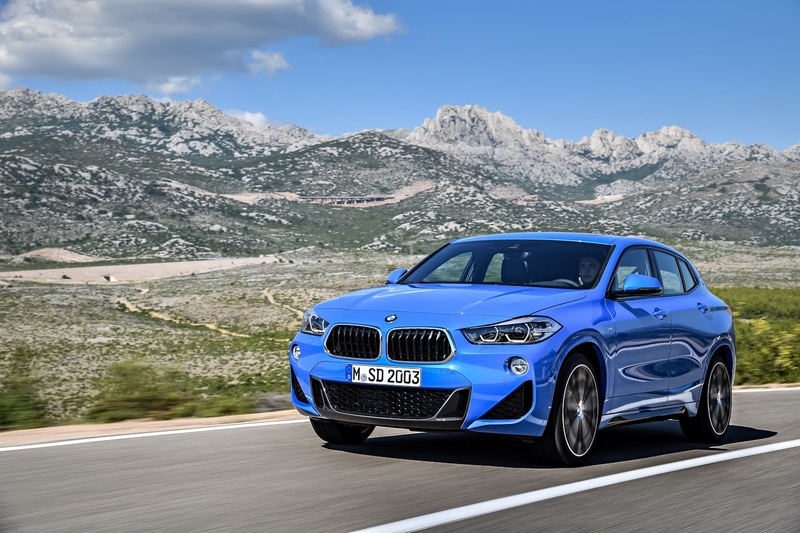 In the United States, power will be provided by a 2.0-liter TwinPower Turbo four-cylinder engine that produces 228 hp (170 kW) and 258 lb-ft (349 Nm) of torque. 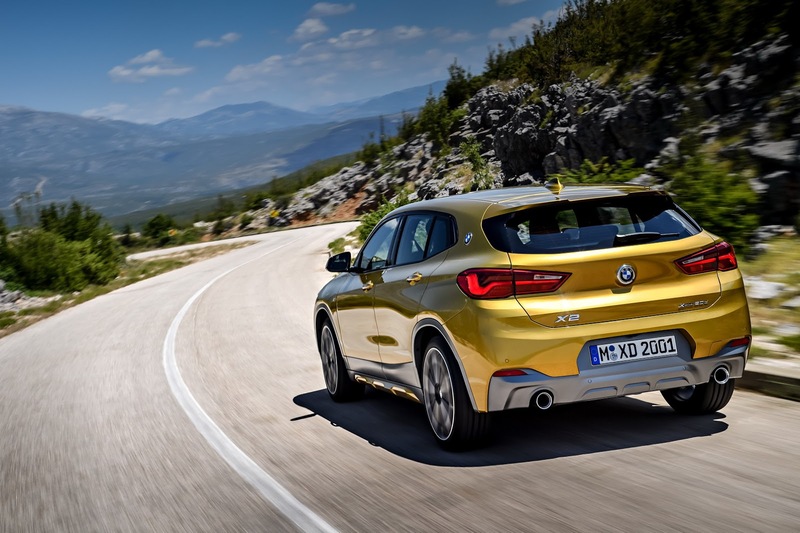 This will enable the X2 xDrive28i to accelerate from 0-60 mph in 6.3 seconds before hitting a top speed of up to 143 mph (230 km/h). 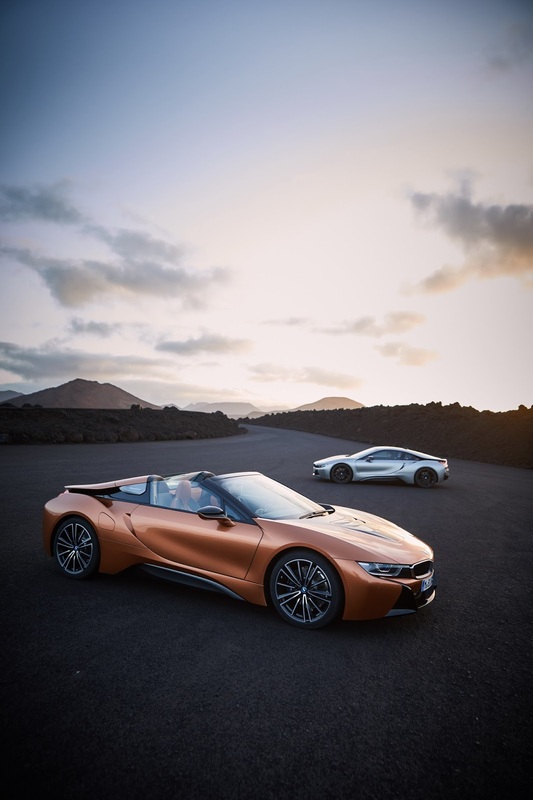 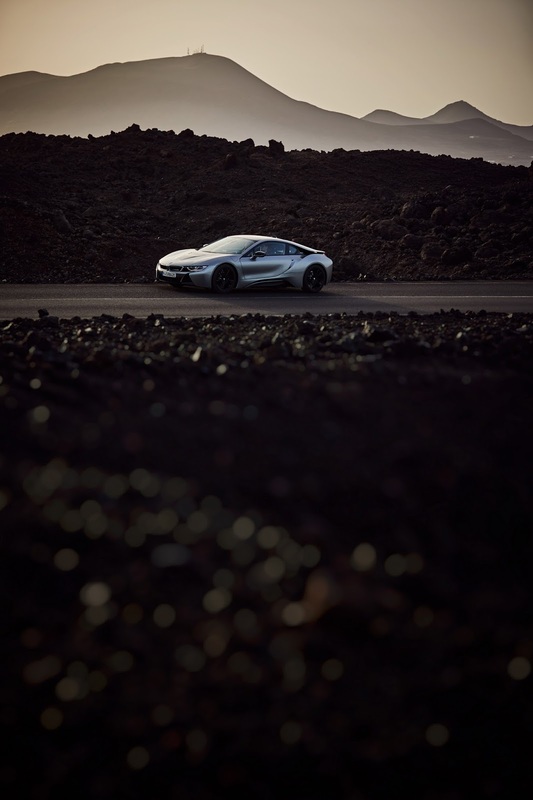 Moving on to the i8 Coupe, the model follows in the footsteps of the i8 Roadster which was recently unveiled at the Los Angeles Auto Show. 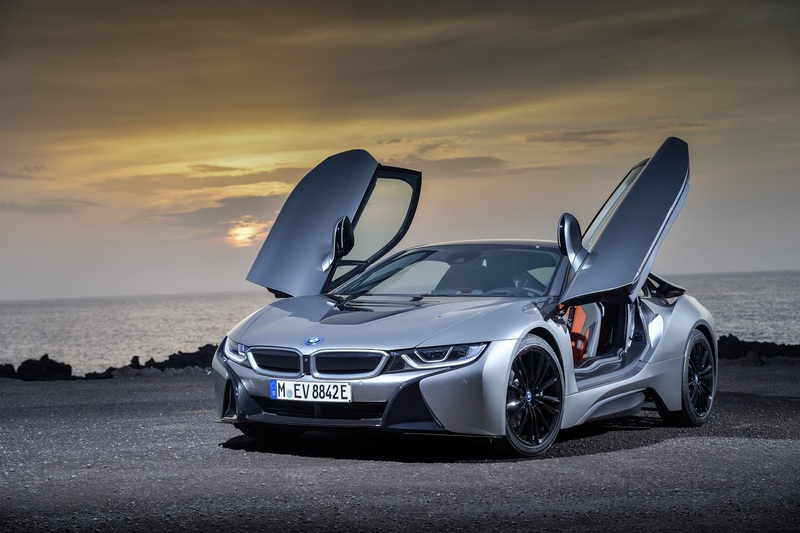 It features an updated powertrain with an improved lithium-ion battery which has a capacity of 11.6 kWh. 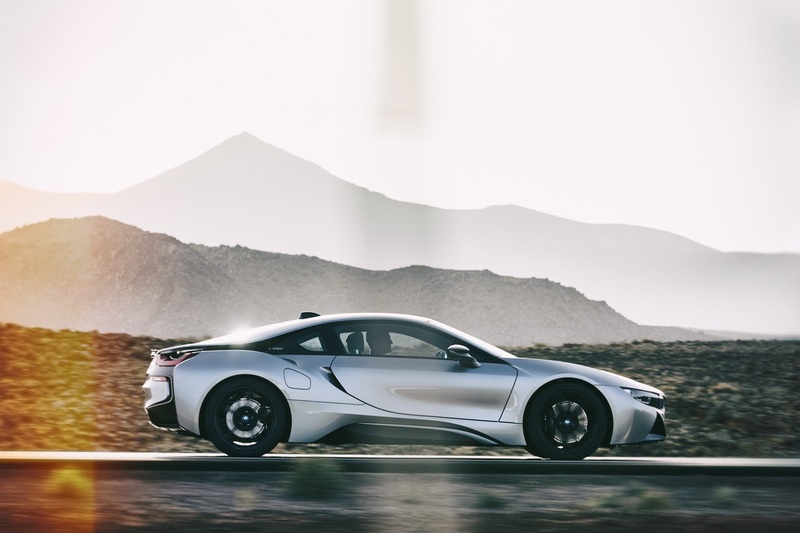 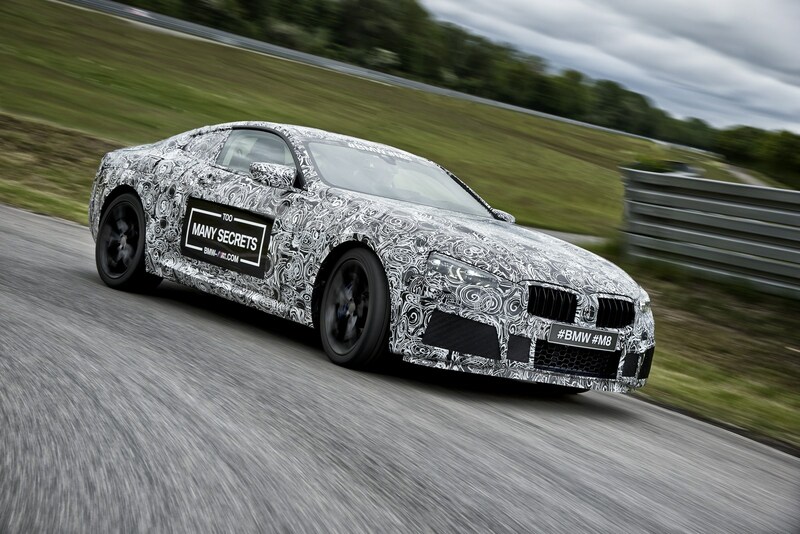 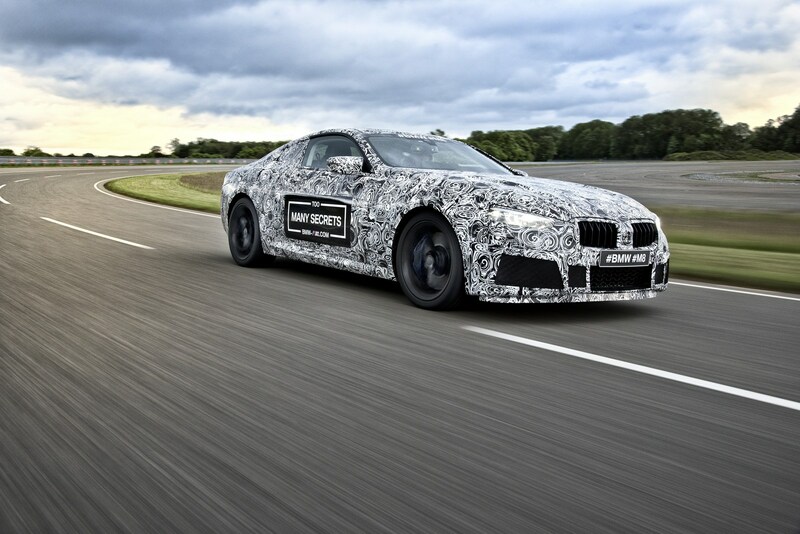 The car has also been equipped with a more powerful three-cylinder engine and electric motor which helps to increase its maximum output to 369 hp (275 kW). 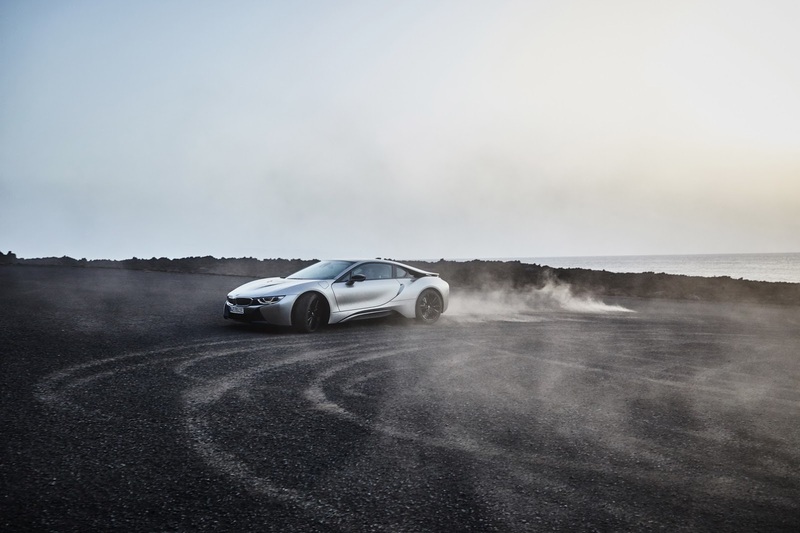 Thanks to the extra power, the model can accelerate from 0-60 mph in approximately 4.2 seconds. 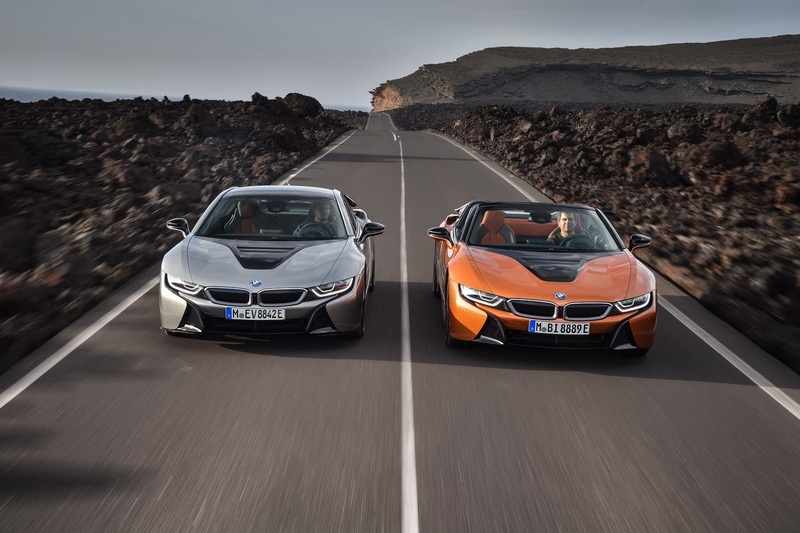 Both of the models will go on sale this spring and pricing will be announced closer to launch. 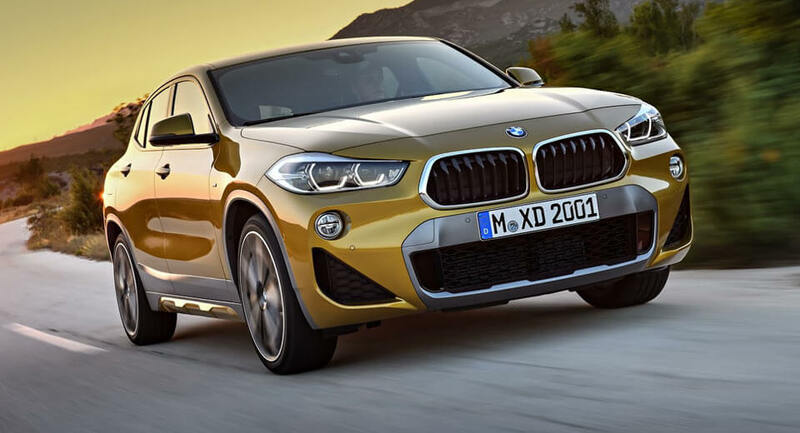 However, a recent report suggested the X2 will have a base price of $39,395. 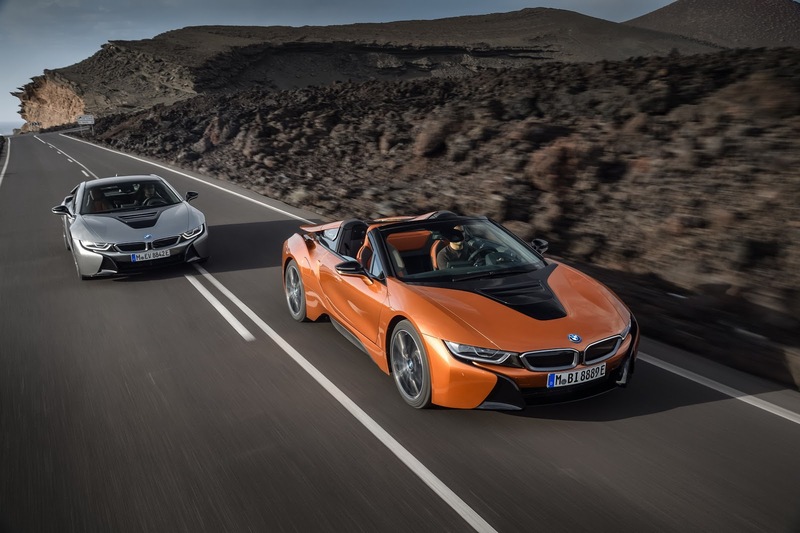 Besides the X2 and i8 Coupe, BMW will display the i3s, i8 Roadster, X3, M3 CS, and M5. 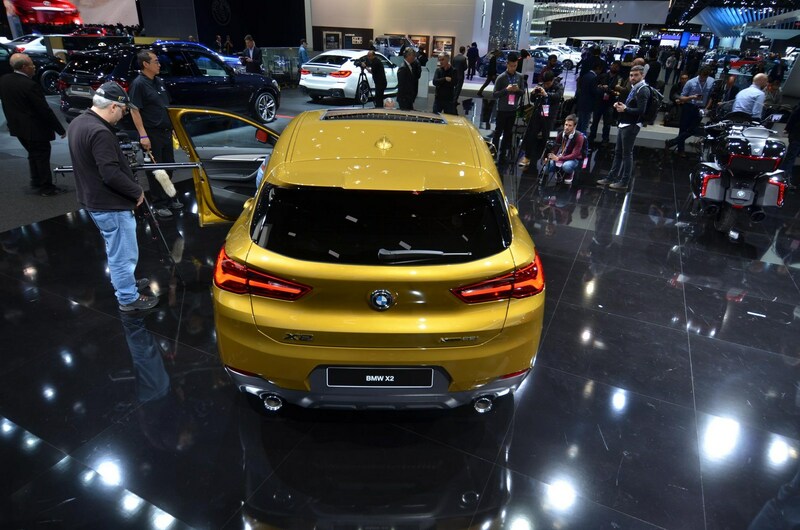 The X7 concept will also be making an appearance. 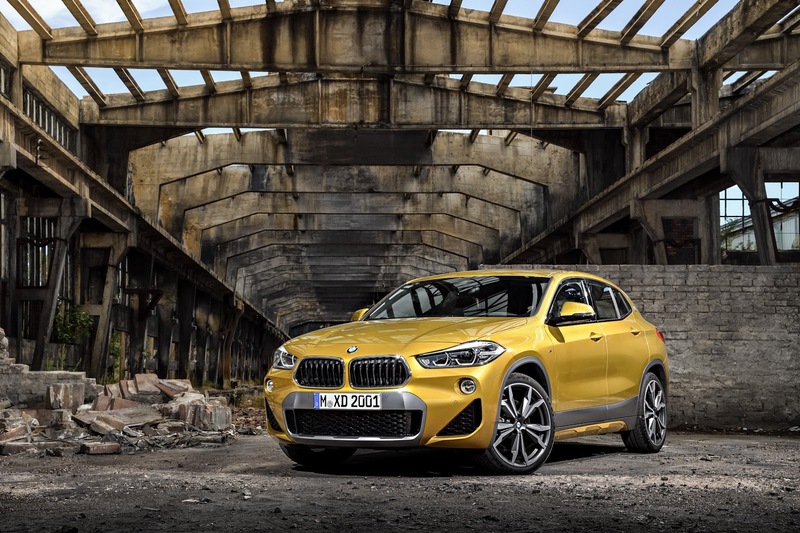 It’s a bit far-fetched to claim you can “be unique” by buying a mass produced vehicle such as the new X2, but that’s BMW’s message in the ad that follows. 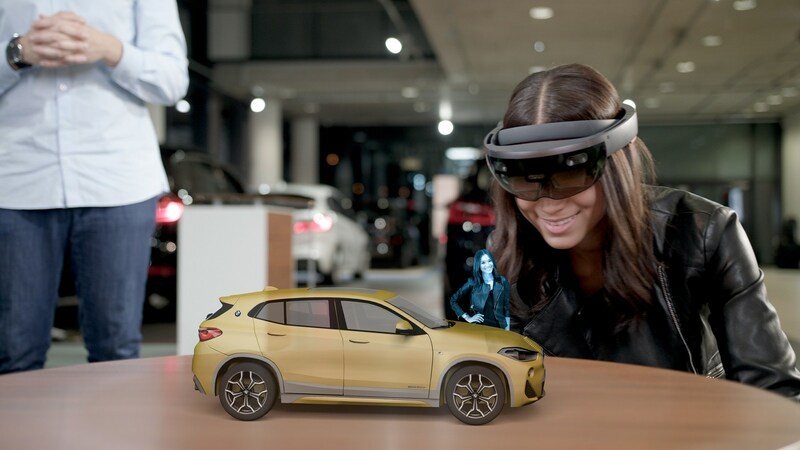 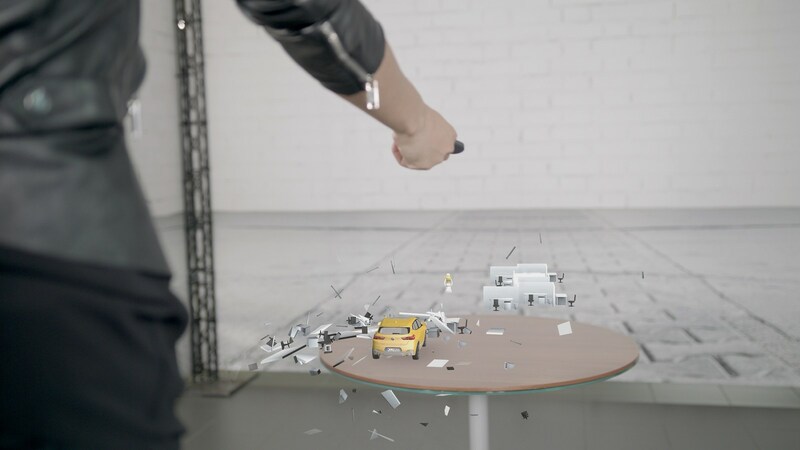 Their TV commercial, which is shown here in the long version, makes several bold statements, and it even shows the brand’s premium sub-compact crossover destroying a few scale model cubicles in the attempt to make itself more noticeable. 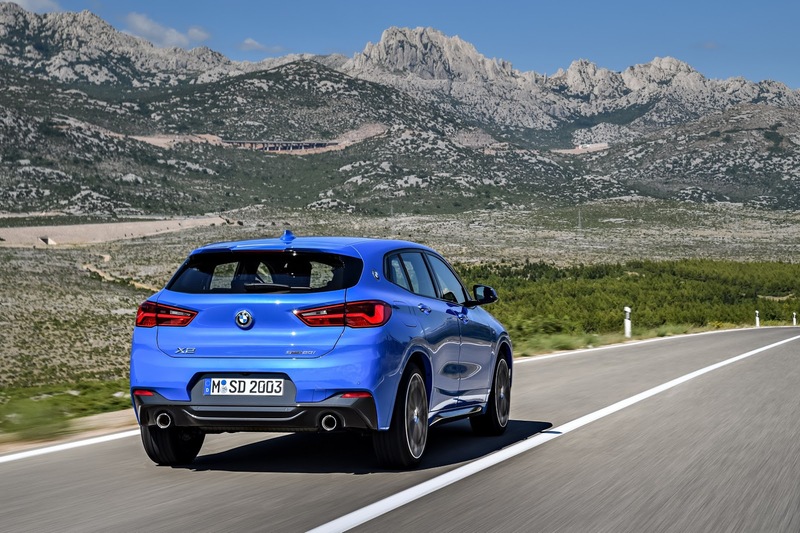 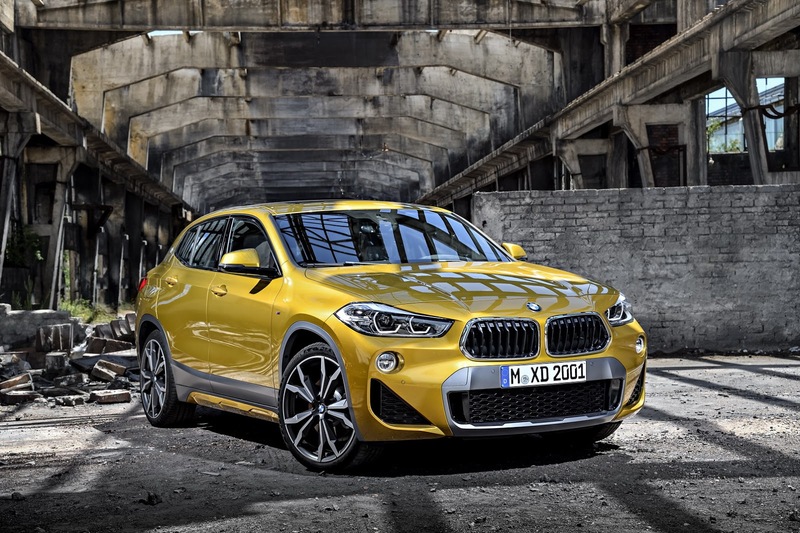 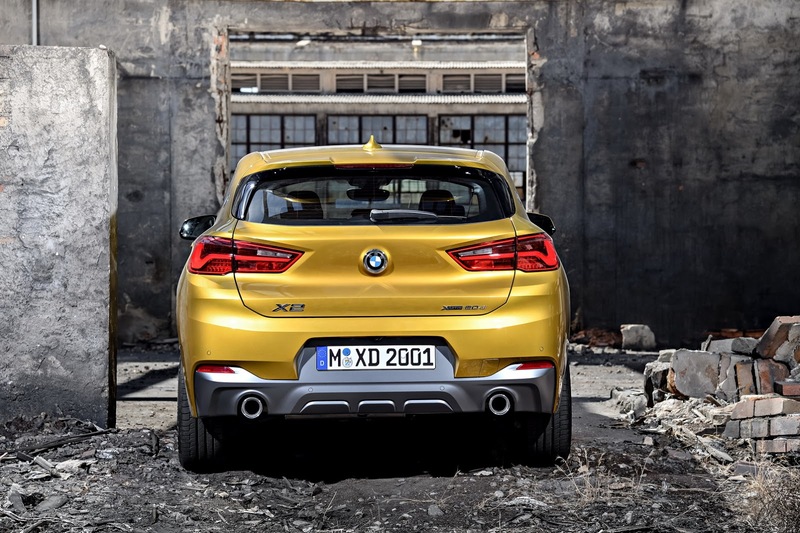 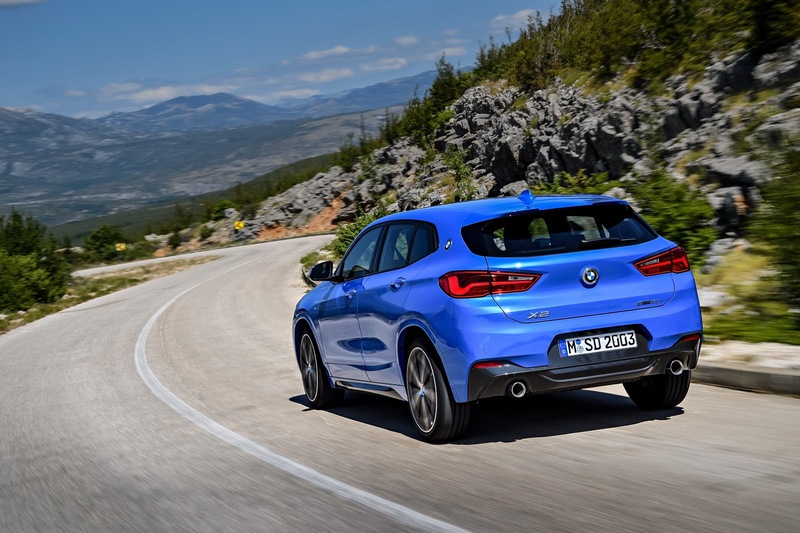 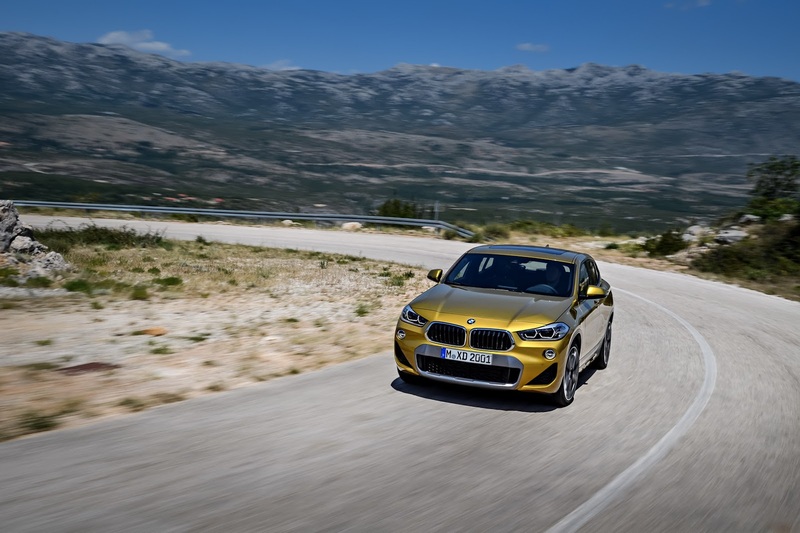 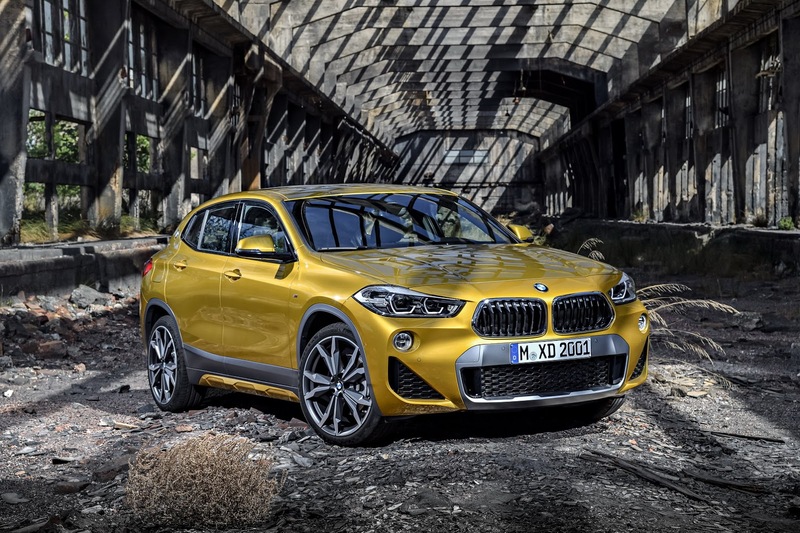 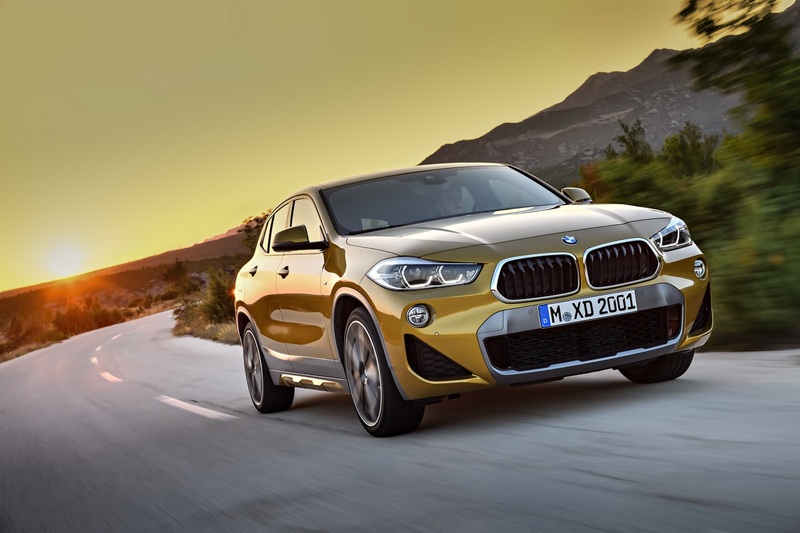 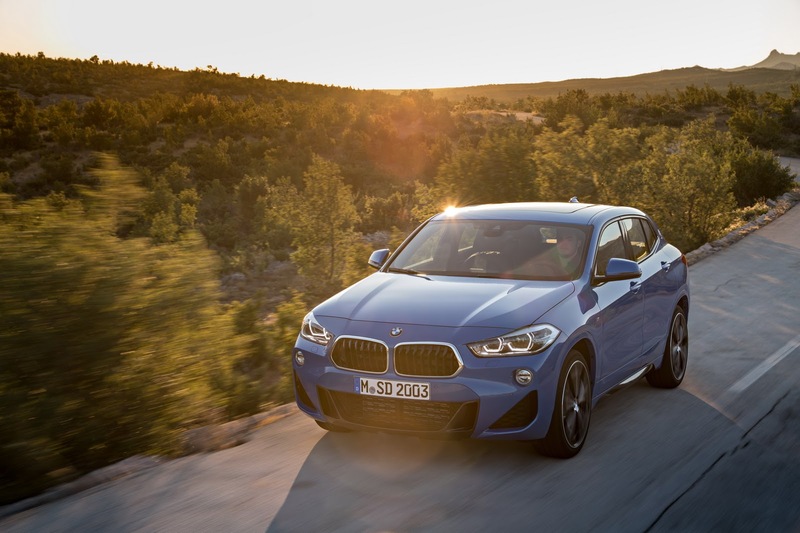 Unveiled nearly a month ago, the BMW X2 is a sportier take on the X1. 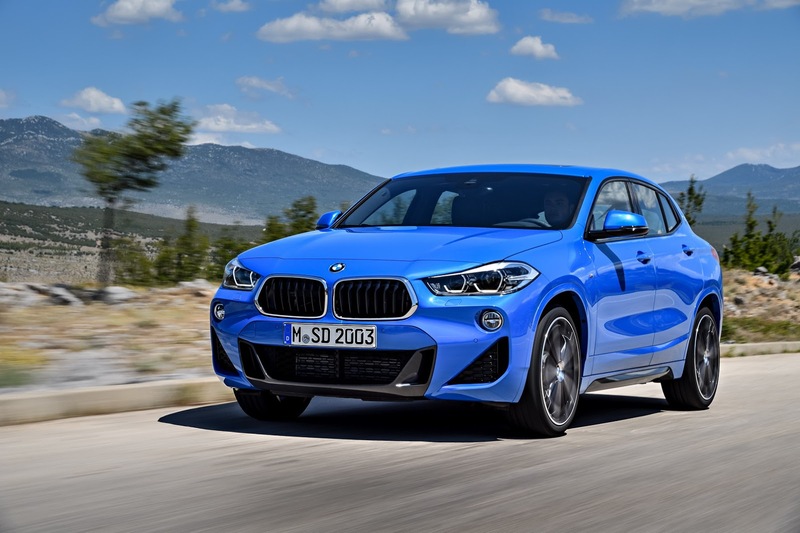 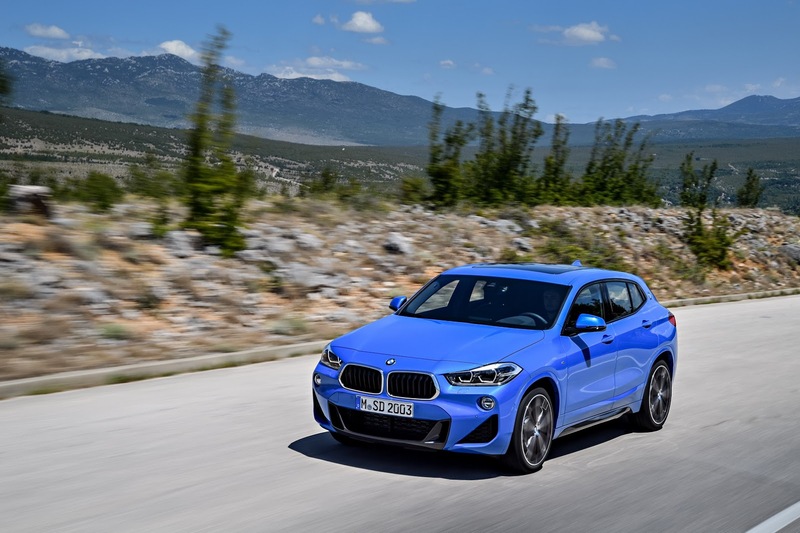 Its exterior resembles that of a hatchback with a slightly increased ride height, and it follows on the footsteps of the coupe SUV niche of the larger X4 and X6. 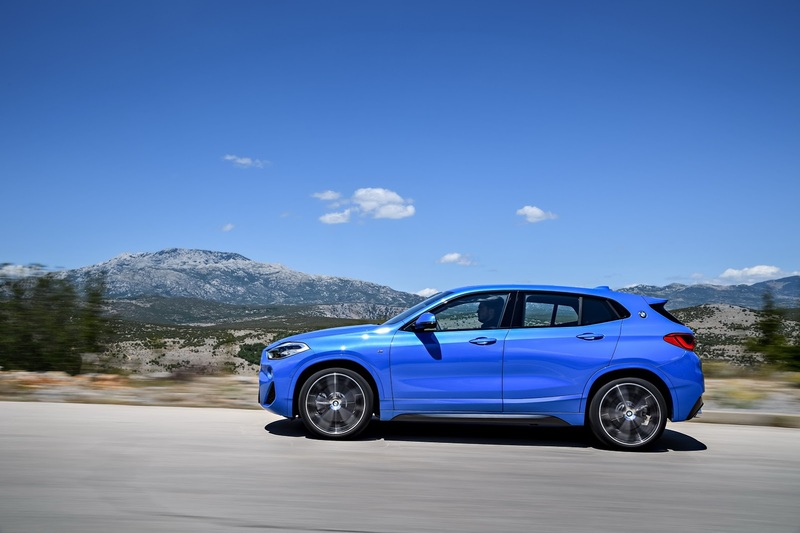 Based on the X2 Concept that debuted last year, the production version will become available in several versions, with various equipment, from cloth upholstery to Dakota leather, and from gloss black accents to a panoramic glass roof. 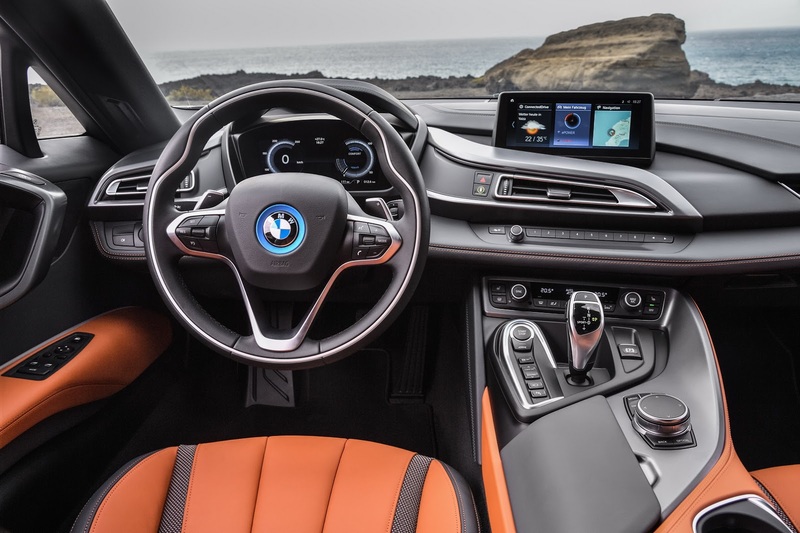 It also gets, depending on the specified trim, an 8.8-inch infotainment system, color head-up display, and LED interior lighting, in addition to various wheel sizes that range from 17- to 20-inch. 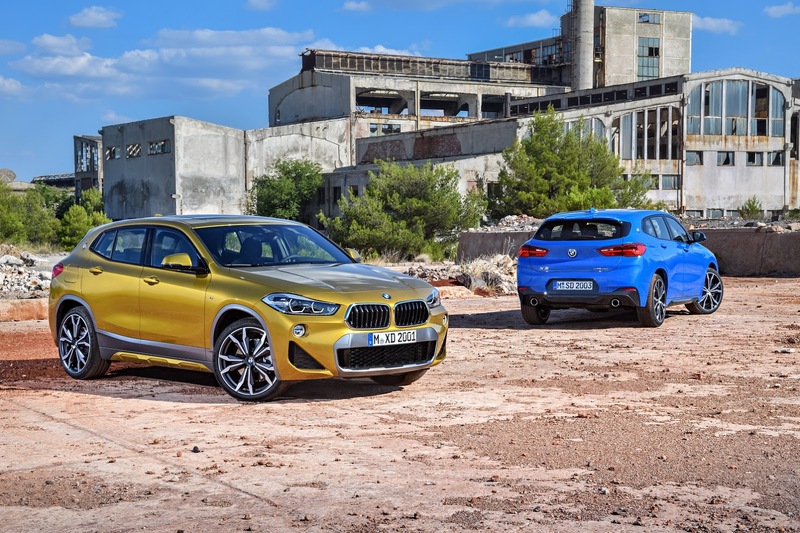 European customers will have to choose, at launch, from the 192 PS (189 HP) petrol and 190 PS (187 HP) and 231 PS (228 HP) diesels, whereas in the United States, it will be available as the xDrive28i that’s powered by a 2.0-liter petrol engine that’s good enough for 228 HP (231 PS). 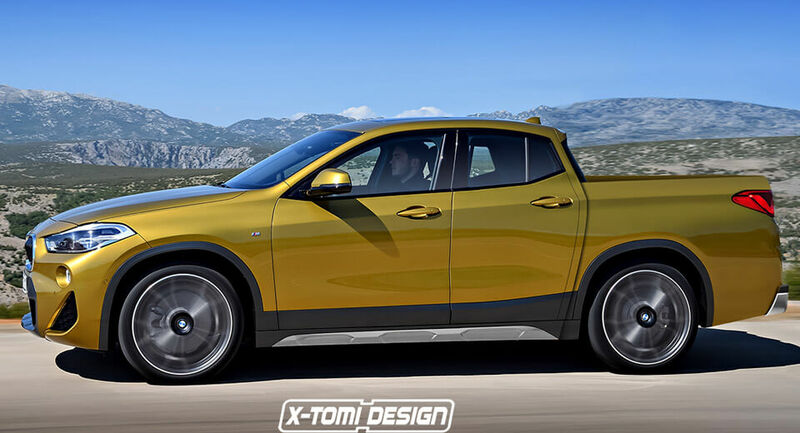 Volkswagen makes pickups. 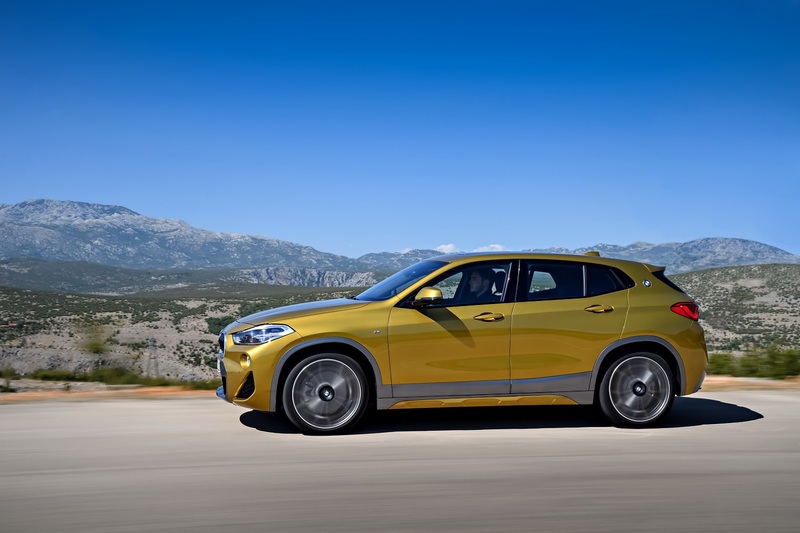 So does Mercedes now. 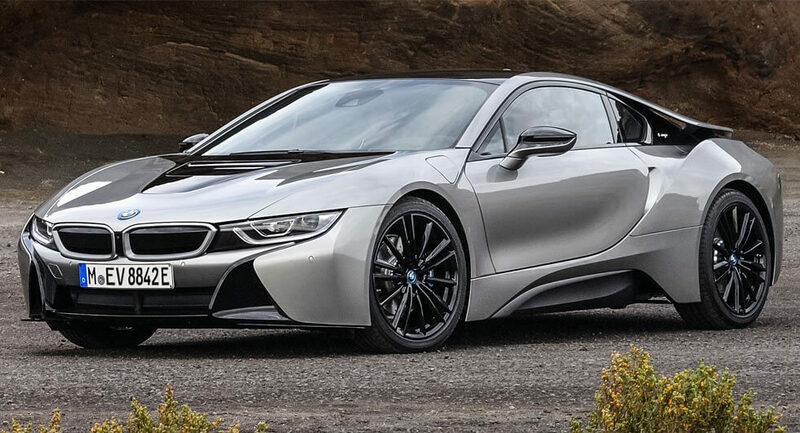 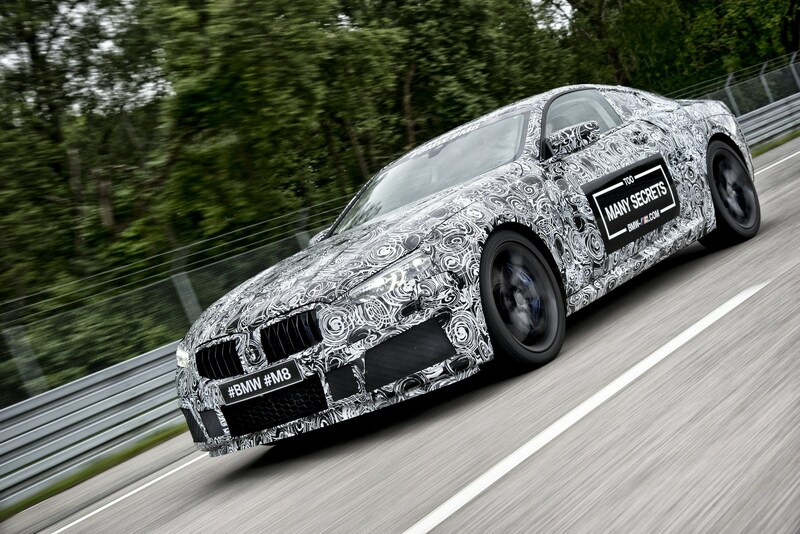 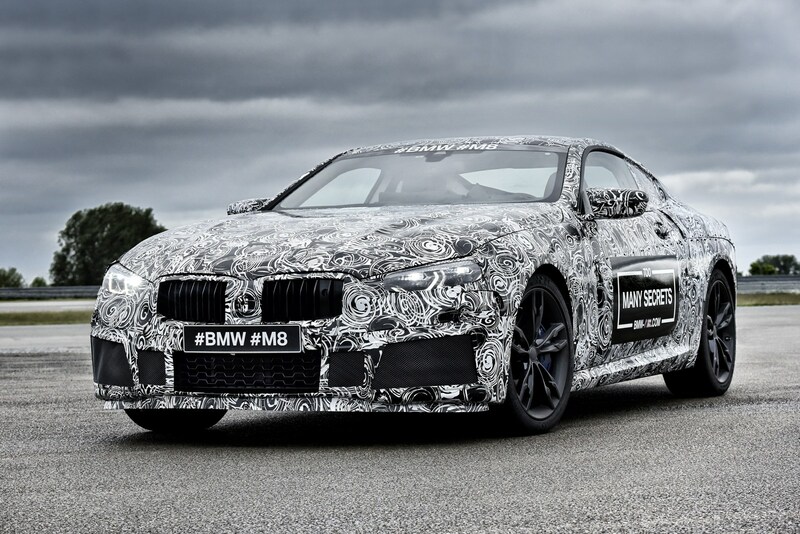 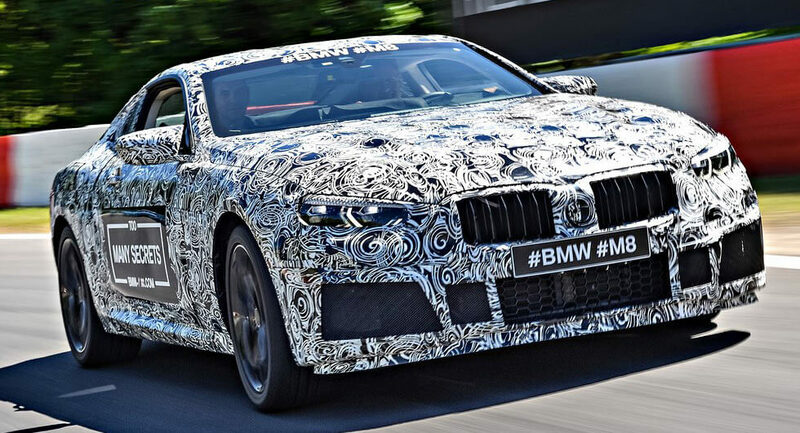 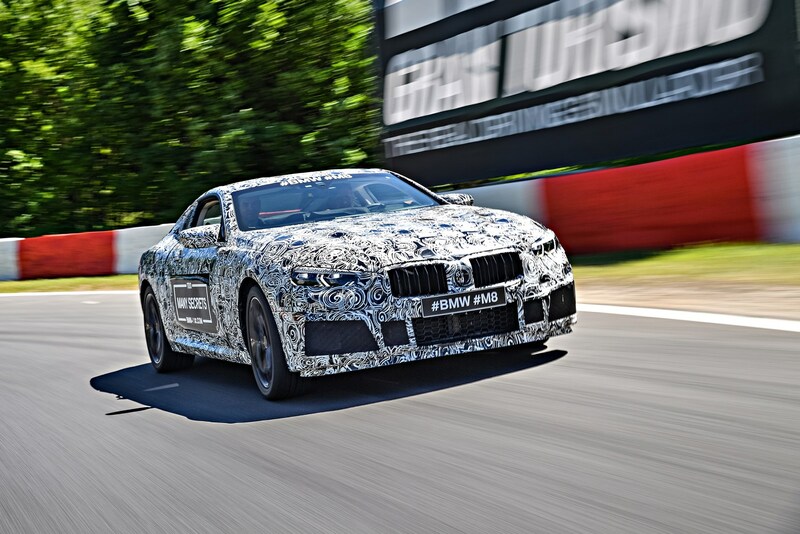 BMW isn’t likely to follow suit, but even if it did, it probably wouldn’t look anything like this. 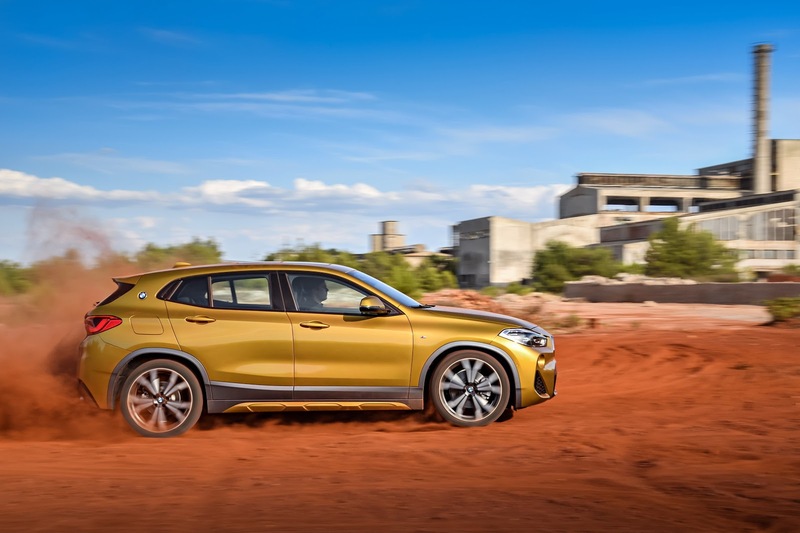 Still, it’s an interesting sight to behold – the new BMW X2 rendered with a pickup bed instead of an enclosed wagon’s back, brought to us by the talents at X-Tomi Design. 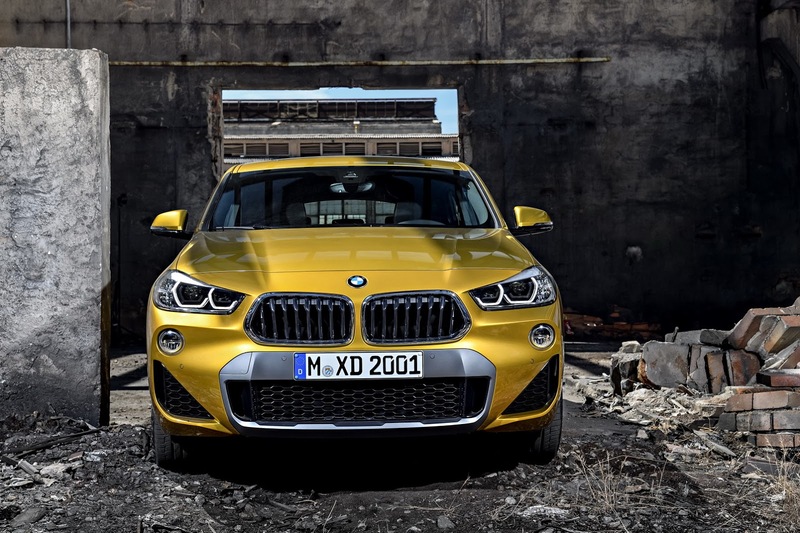 The X2, for those who missed it, is a sportier counterpart to the X1, with a more aggressive stance and appearance. 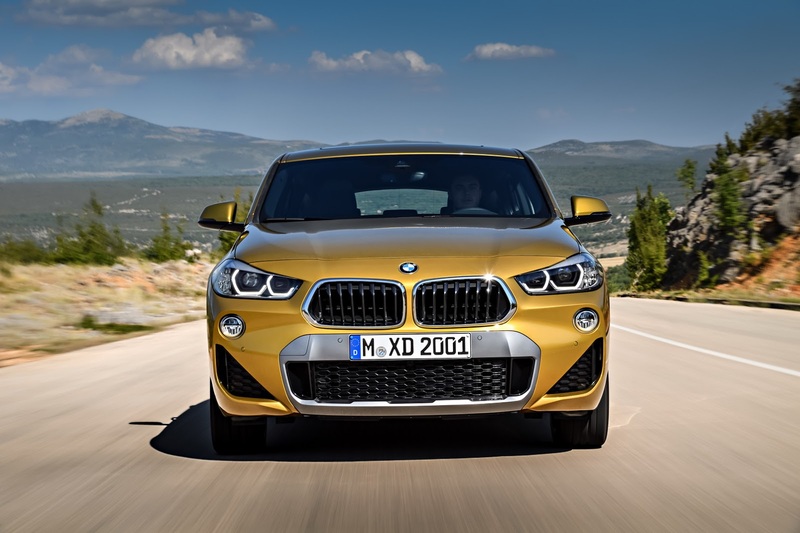 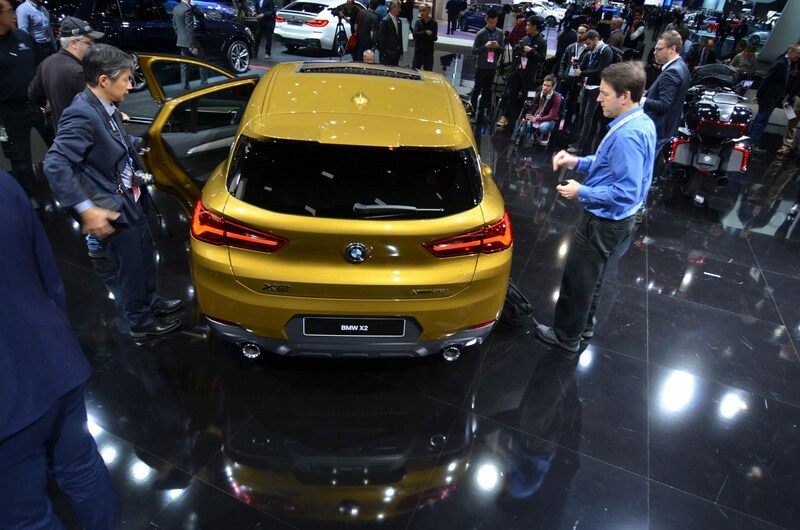 It’s the latest in a string of crossovers from the Bavarian automaker stretching all the way back to the first-generation X5 that debuted in 1999. 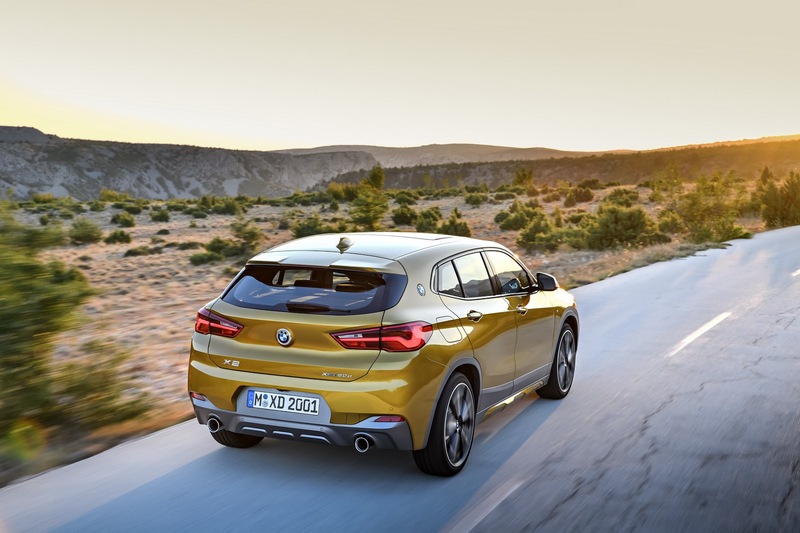 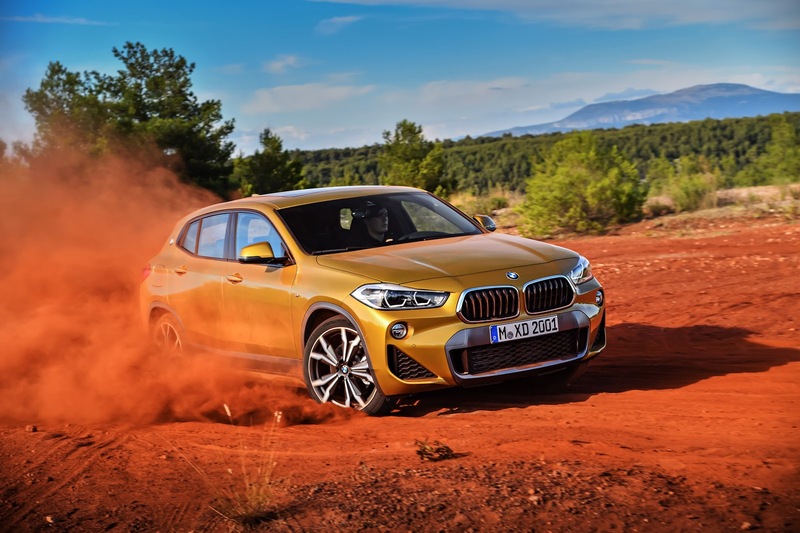 Before then, the idea of a BMW crossover seemed ridiculous – maybe as ridiculous as a BMW pickup would seem to us now, especially with Amaroks and X-Classes roaming the roads and backcountries of the world. 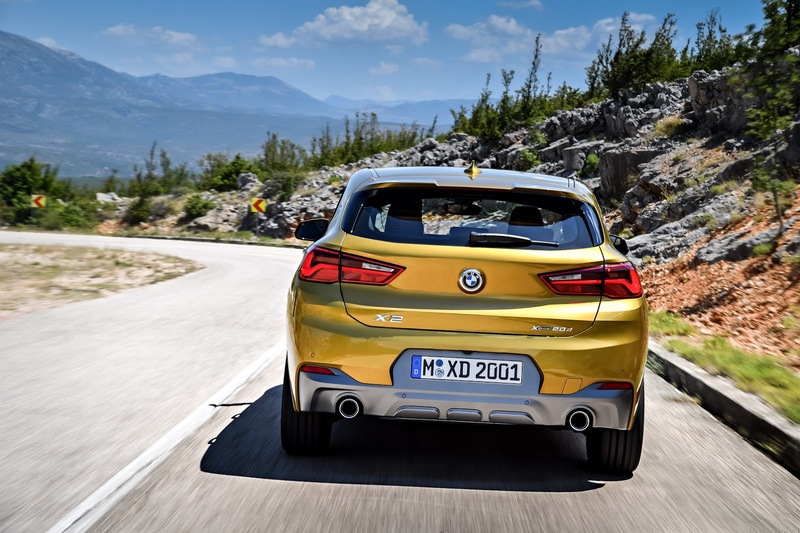 The big difference, though, is that while Volkswagen and Mercedes have commercial-vehicle divisions (and corporate partners) on which to draw in the development of their pickups, BMW does not. 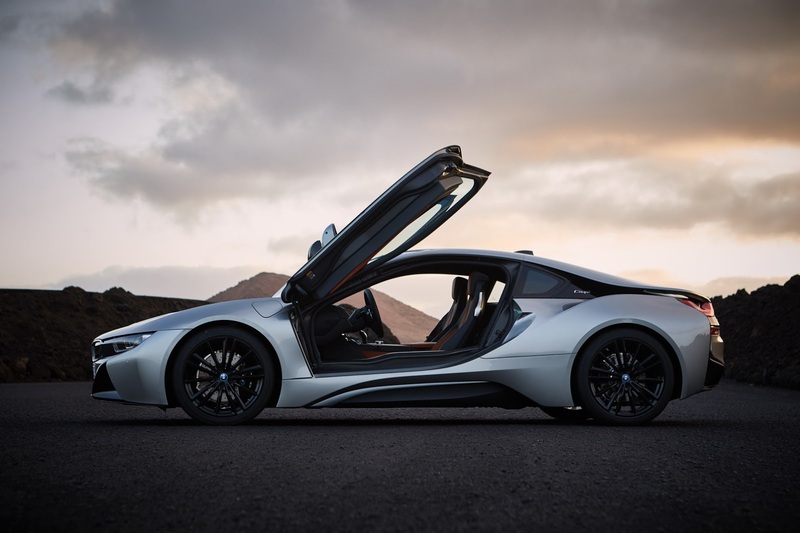 Still, it seems that BMW has explored just about every other body style, and invented some of its own. 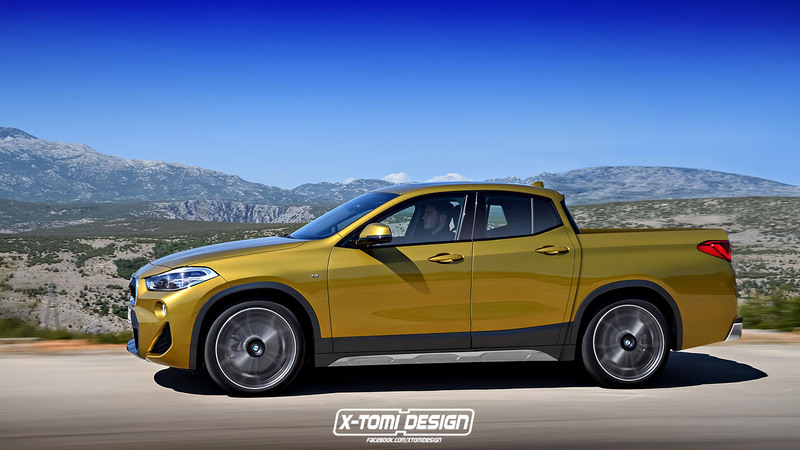 So who’s to say it would never do a pickup? 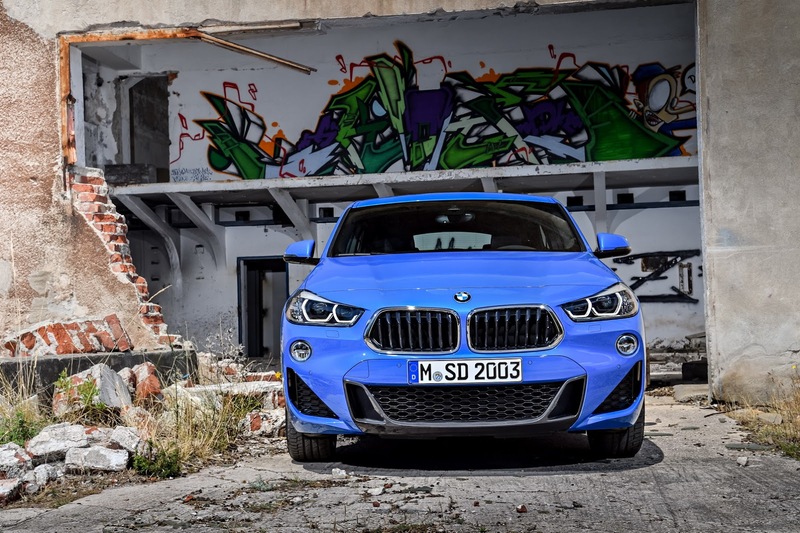 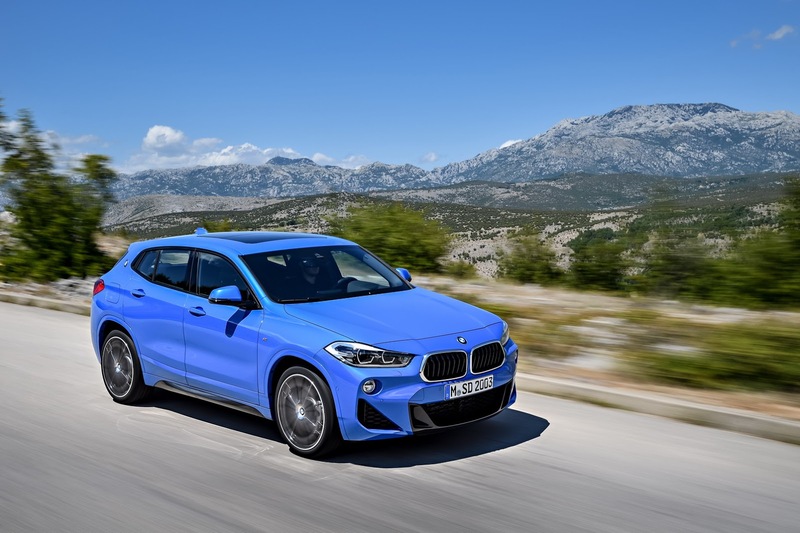 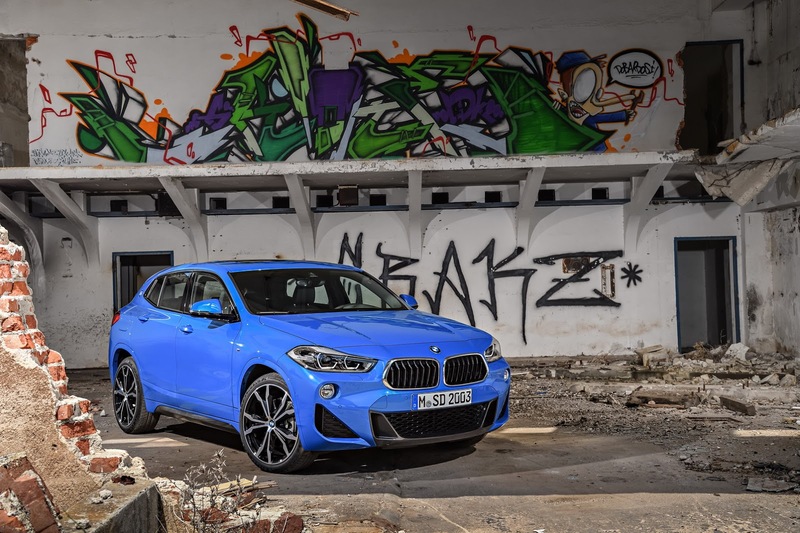 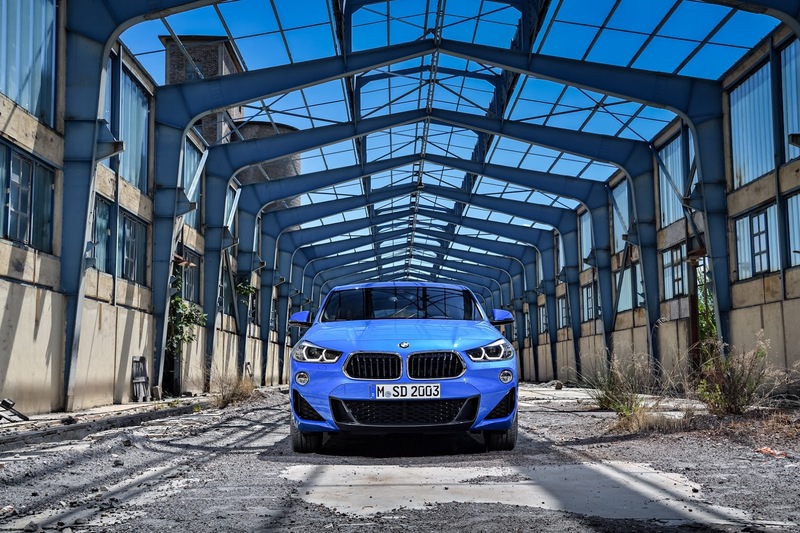 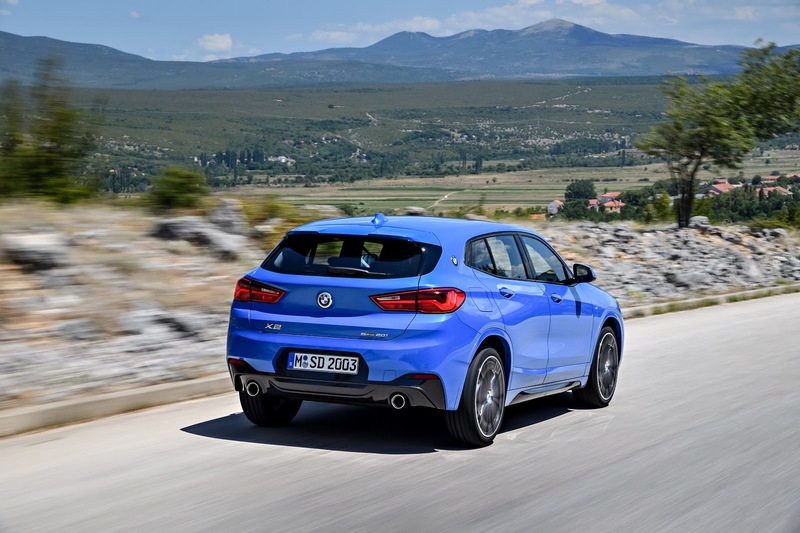 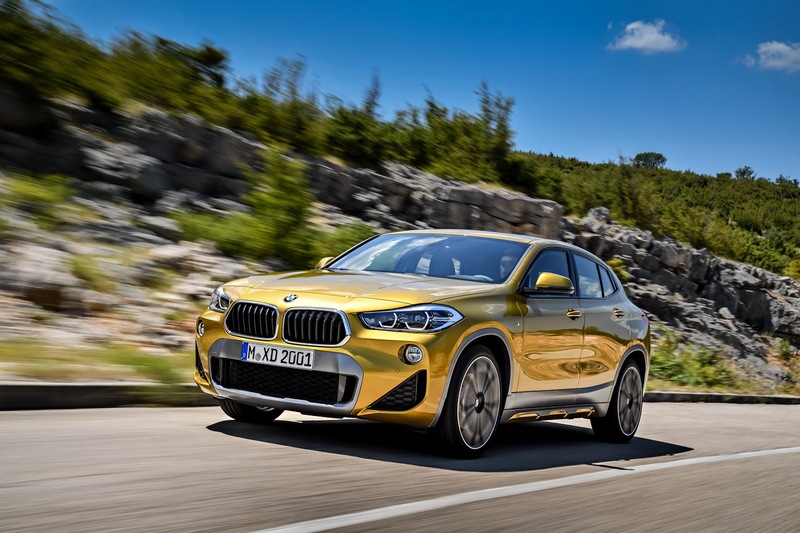 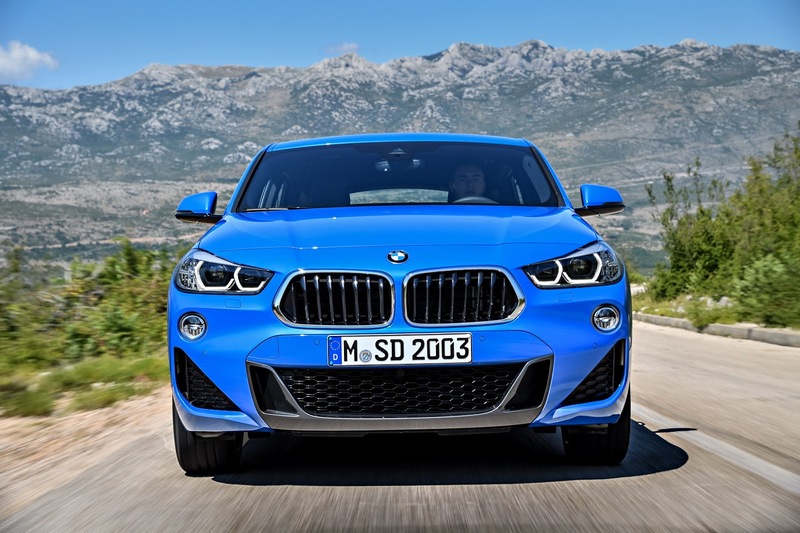 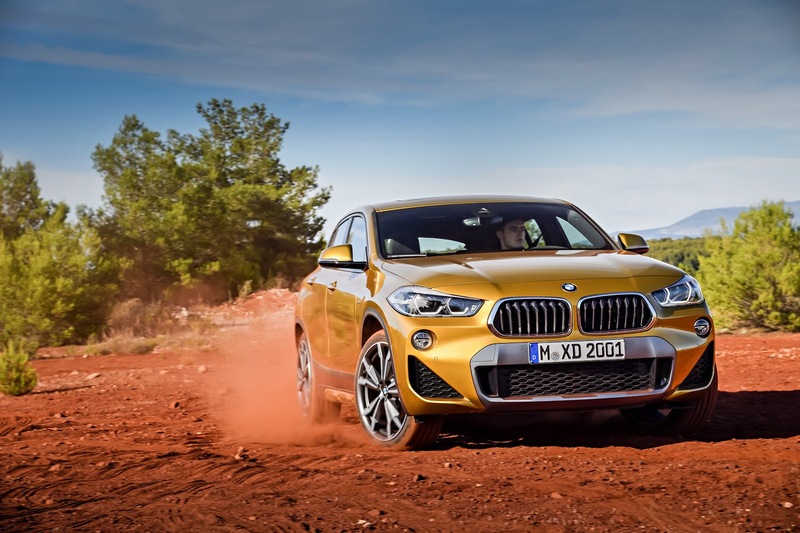 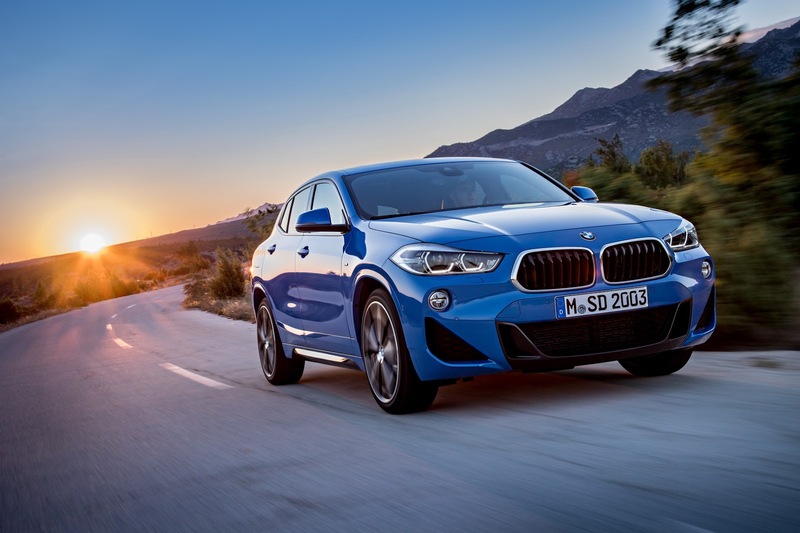 Now that BMW has taken off the X2's digital camouflage, showing the production car off in three different specs, the only thing missing for driving enthusiasts is a full-fledged M model. 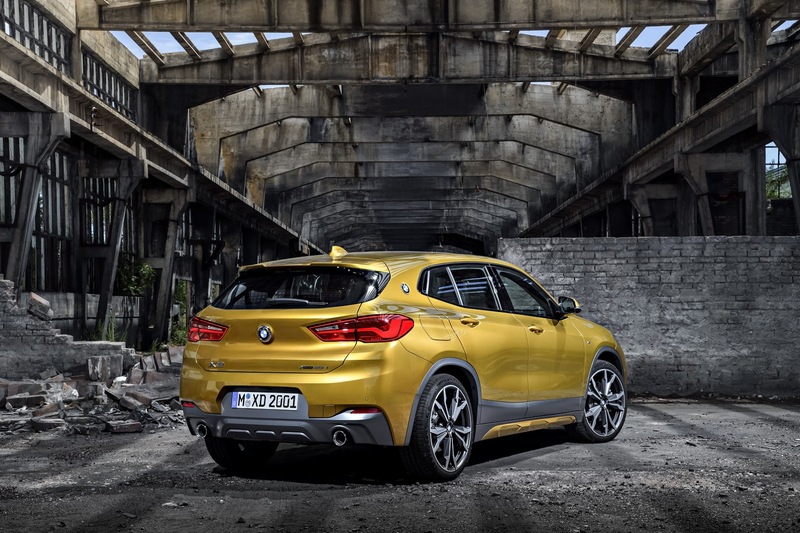 Seeing the new BMW X2 almost completely undisguised has been a long time coming. 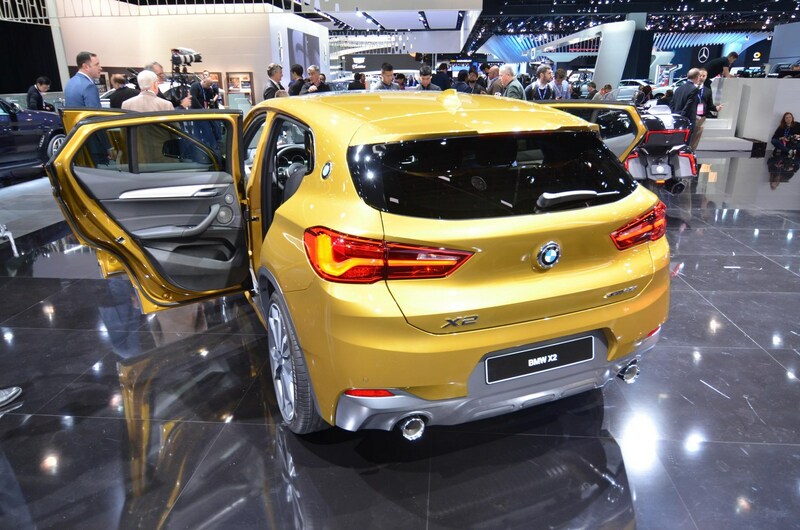 After parading around Milan during Fashion Week, BMW's new X2 is out and about again, this time spotted in Munich, Germany.